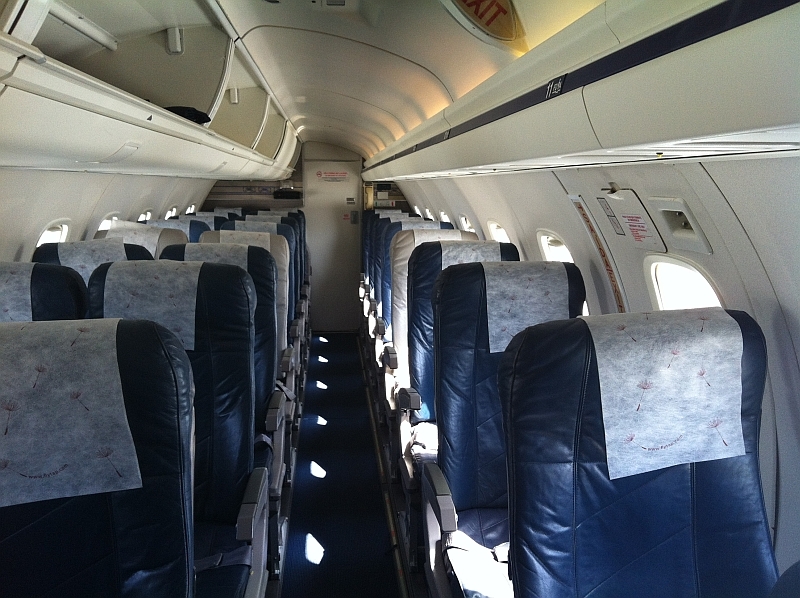 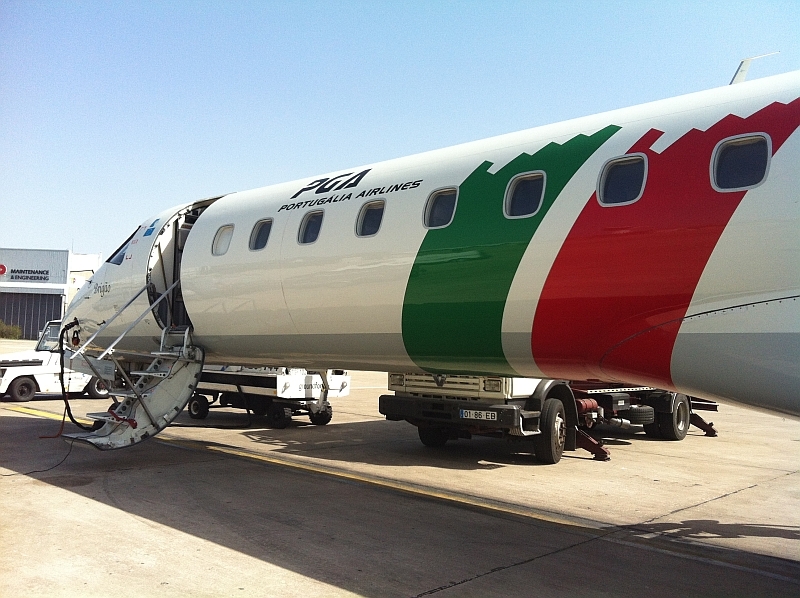 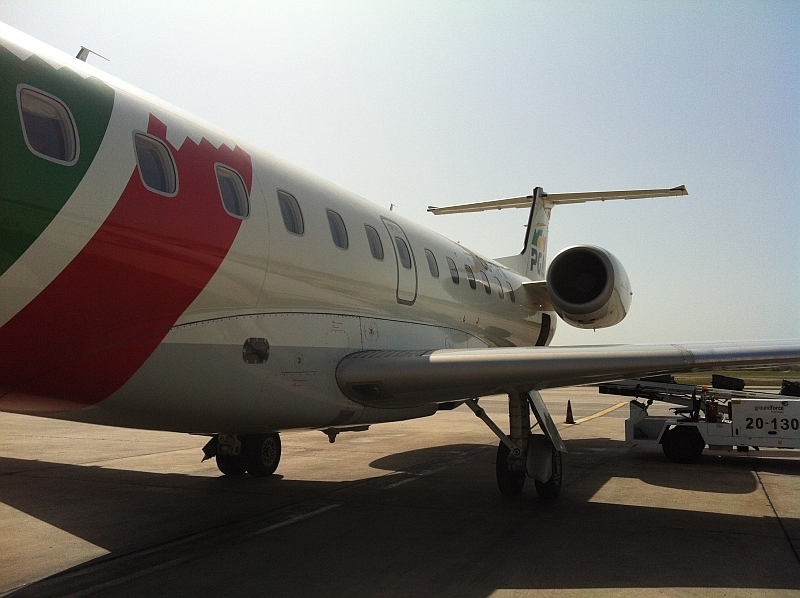 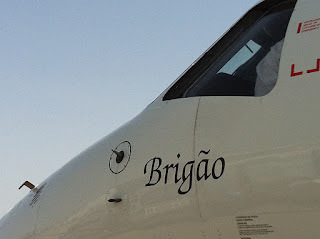 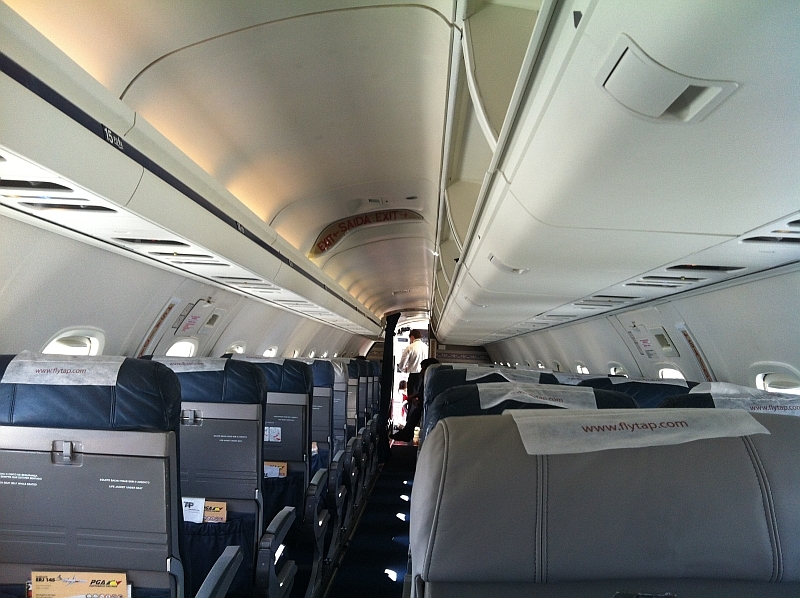 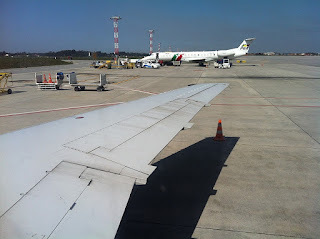 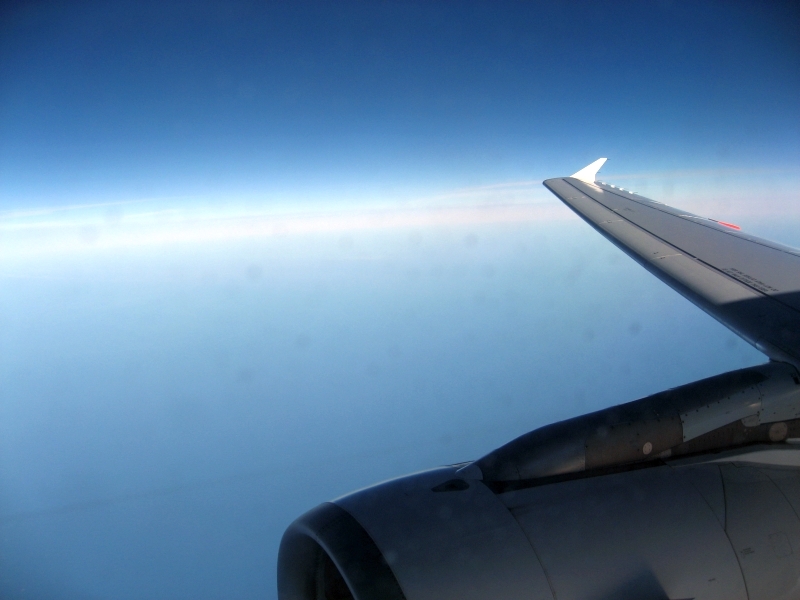 Last Saturday I had my first flying in a ERJ145 from Portugália Airlines. 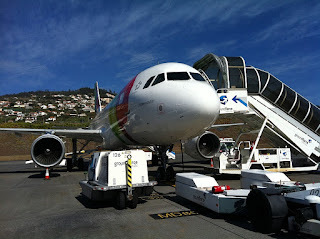 Its registration was CS-TPK named Gaio. Nice, funny and tiny airplane it's all I have to say! In fact, until today, it was the smallest jet I have ever flown. 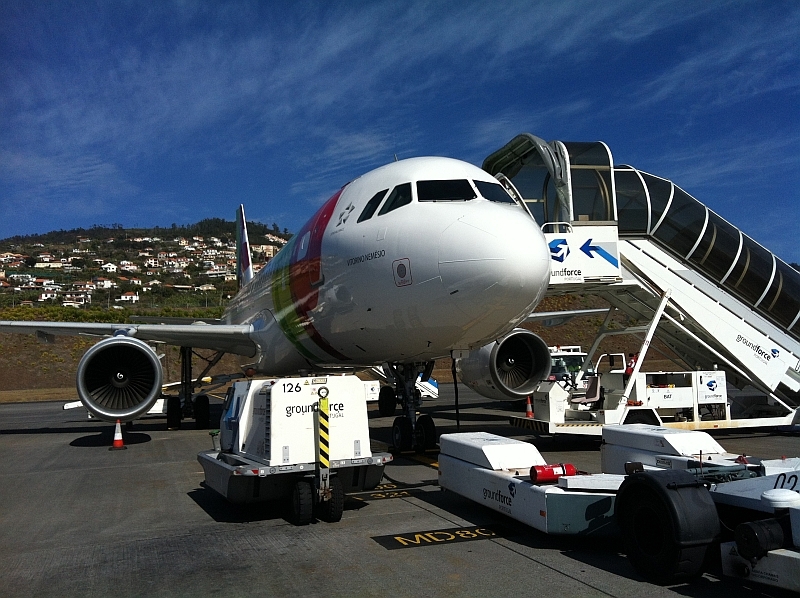 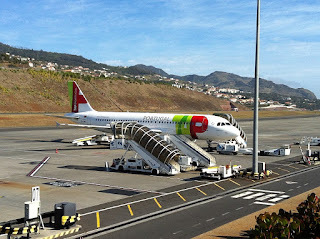 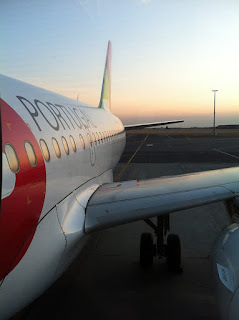 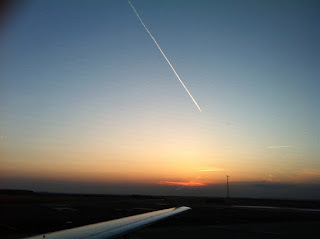 The Lisbon/Porto flight (35 min) was short to tell more about this experience. 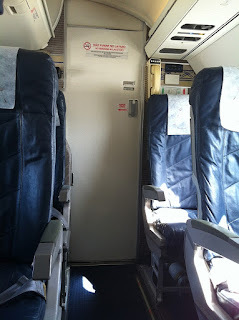 I also didn't have the opportunity to take photos. 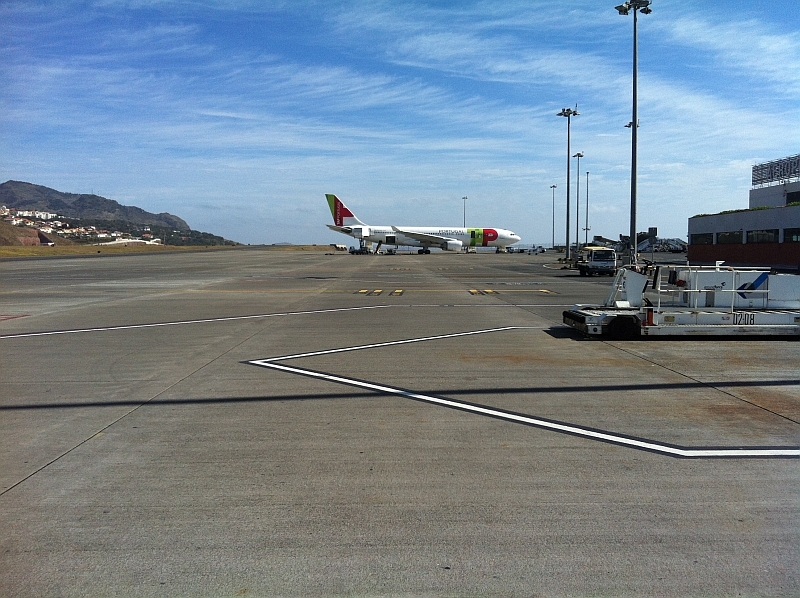 Lisbon Airport used to have an observation deck which was at the same time a bar esplanade. 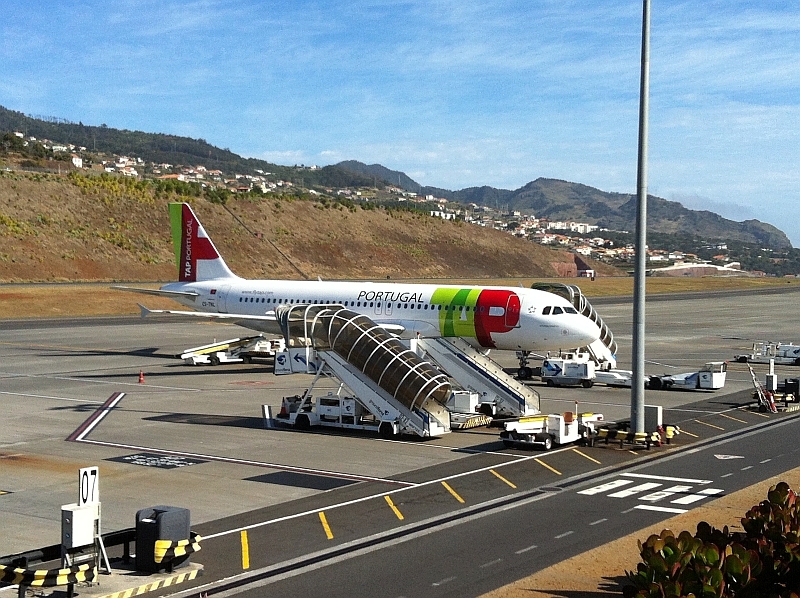 The deck was located on the top of the building in front of the TAP 737-300 (between Lufthansa and Portugalia) that you can see in the next photo. 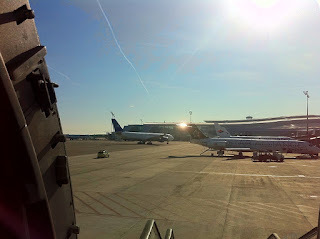 Unfortunately those days are gone and today you can only watch airplanes behind the perimeter fences of the airport. First A320 with new SWISS billboard titles on the fuselage. 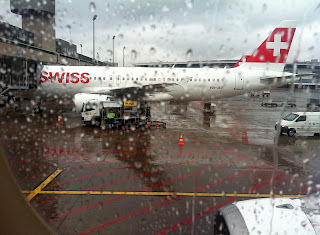 Photo taken last monday on a rainy day at Zurich. 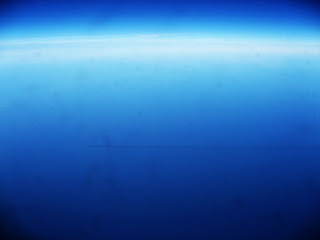 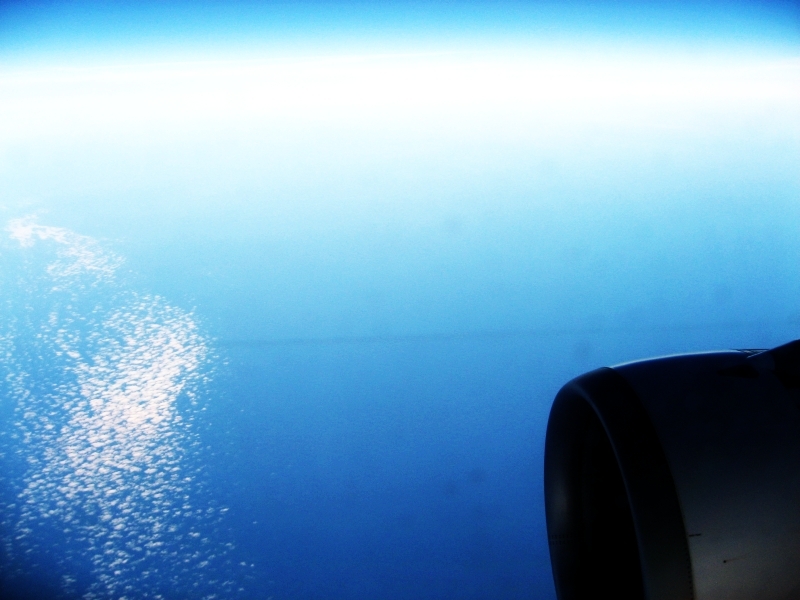 Our own contrail shadow over the sea while enroute to Funchal. Exaggerated contrast to make it easier to see. 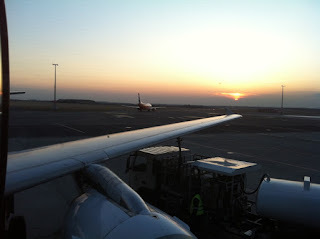 And some photos after arrival. 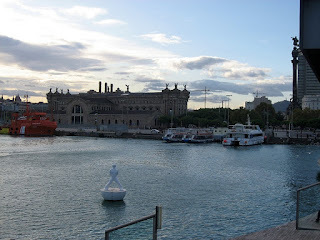 Everybody seems to love this city. 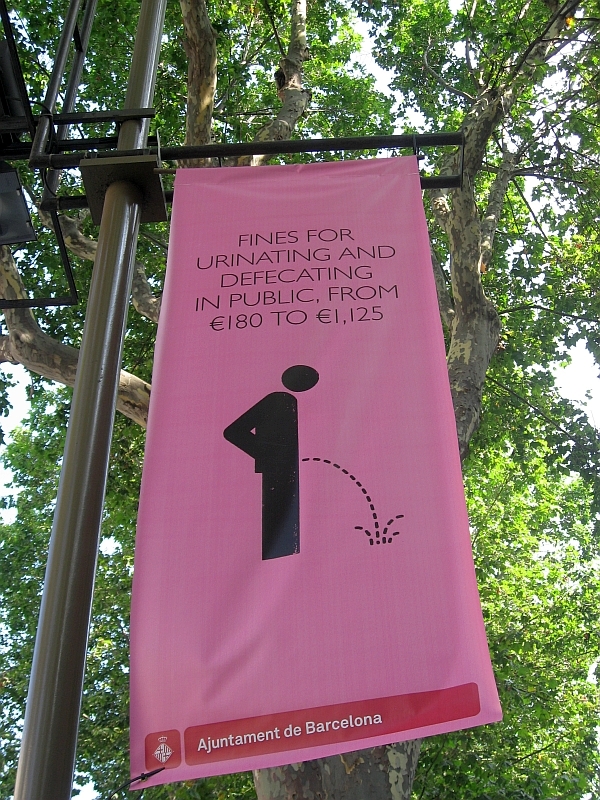 But I find many other cities in Europe much more enjoyable than Barcelona. 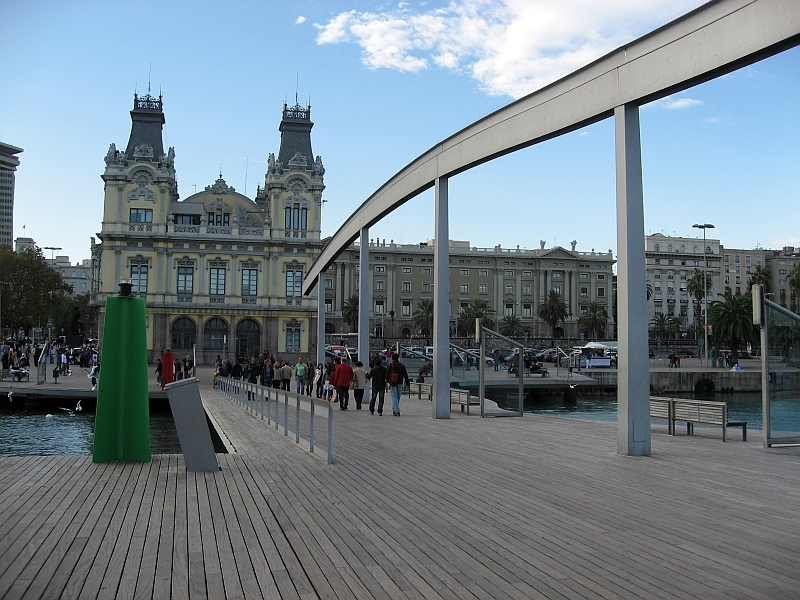 I even prefer Madrid which is distant from the sea and doesn't even have a decent river crossing it. 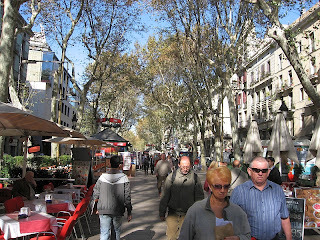 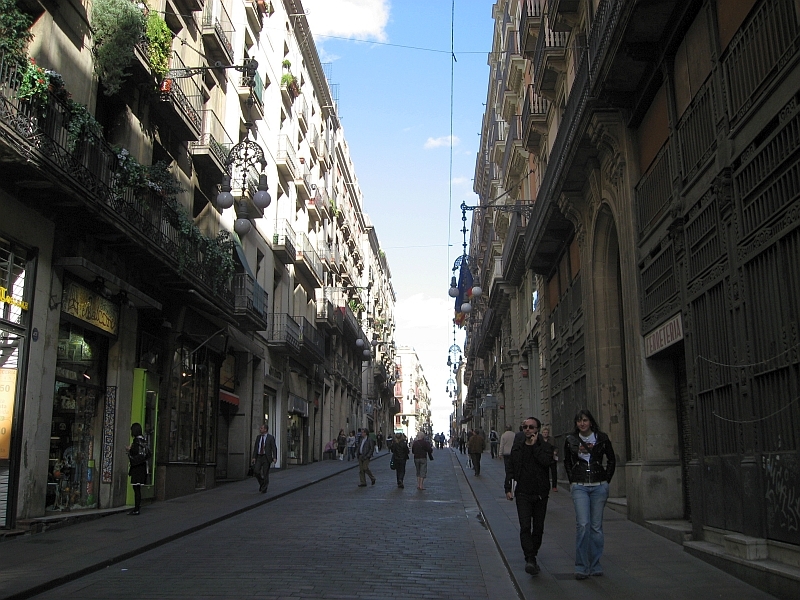 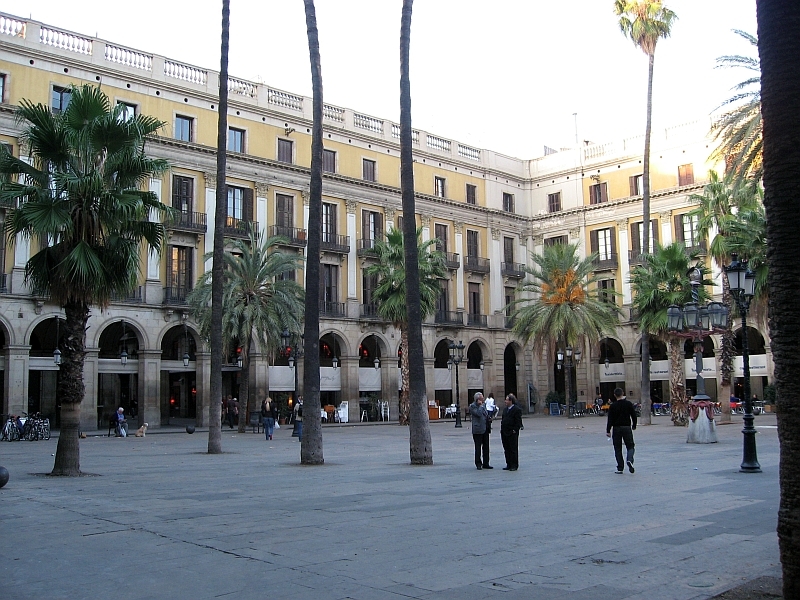 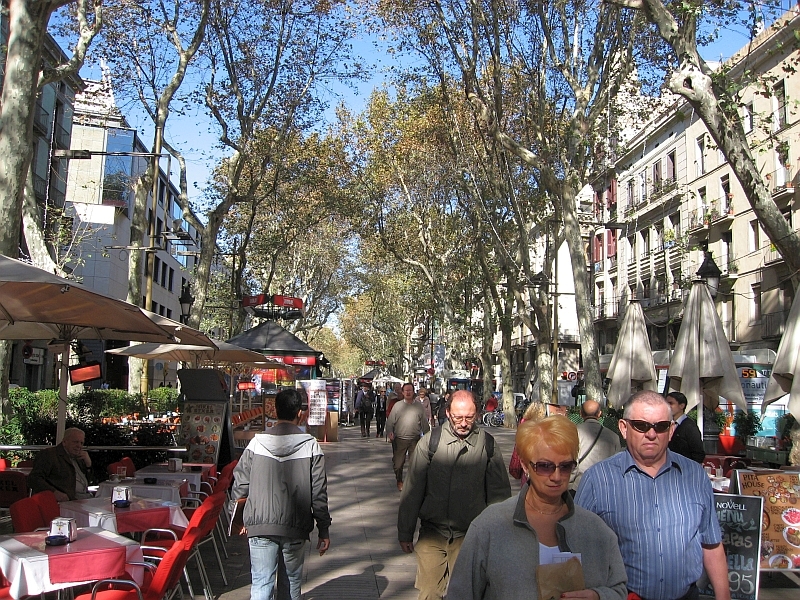 In Barcelona, I already walked through Las Ramblas, Gothic Quarter, Plaça de Catalunya and other interesting spots. I already saw Sagrada Familia and I had a nice party night at Shoko Club, near the beach, in summer time. 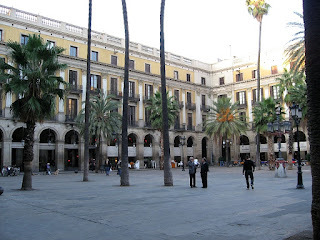 The tapas at Ciudad Condal Restaurant are really divine. But I still can't say "this is one of my favorite cities worldwide". 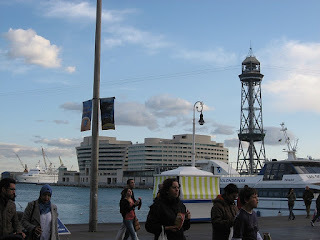 Maybe I should visit Camp Nou! 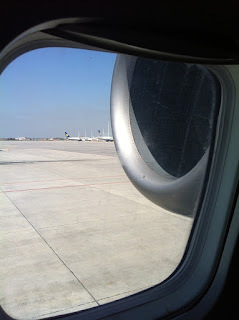 However I have good memories from the first time I was in Barcelona flying with Luzair. 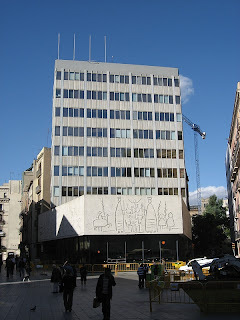 I usually stay in a hotel in Avinguda del Paral·lel which is near of Plaça de la Carbonera and Maremagnum shopping center. 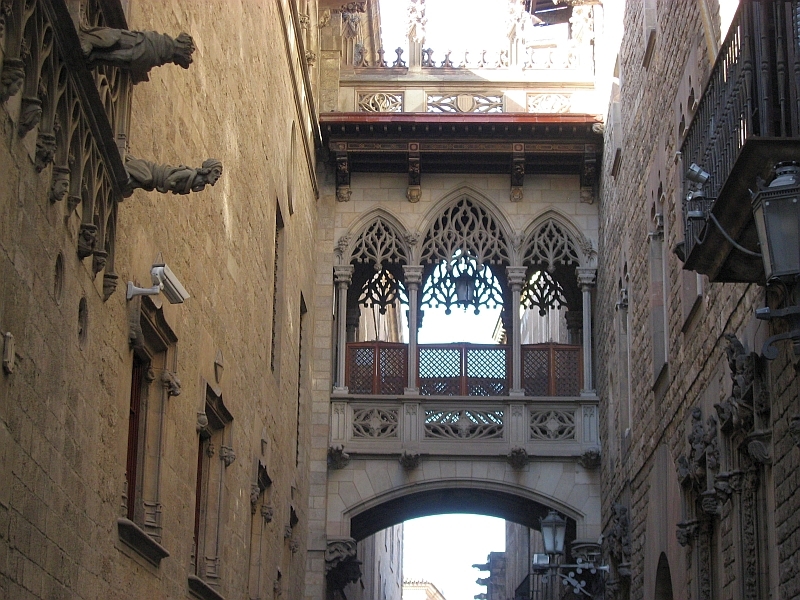 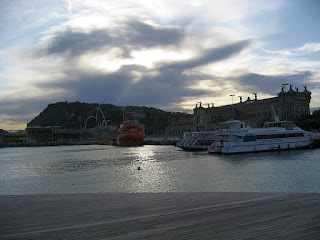 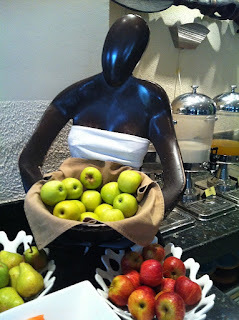 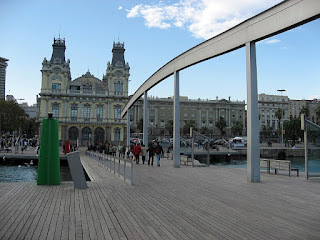 Now, some photos of Barcelona - not the best ones and not the most interesting places you can find there... 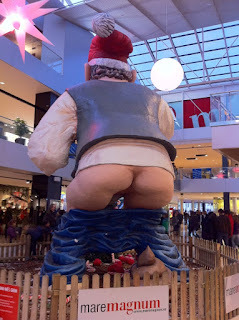 I really have few pictures of it. 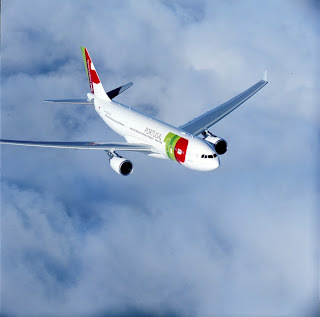 A few months ago, TAP Portugal announced the retrofit of their A340 fleet with new interiors and IFE system. 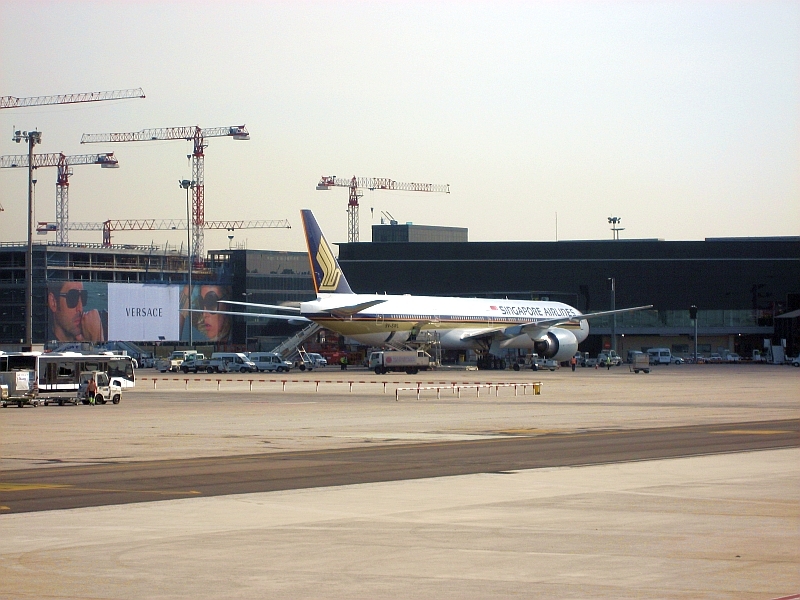 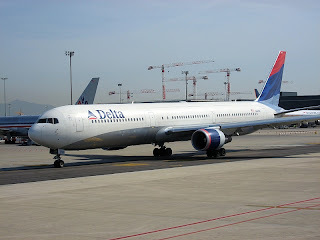 The update will bring these aircraft to almost the same standard of comfort and entertainment we can find in the most recent A330s received from Airbus. 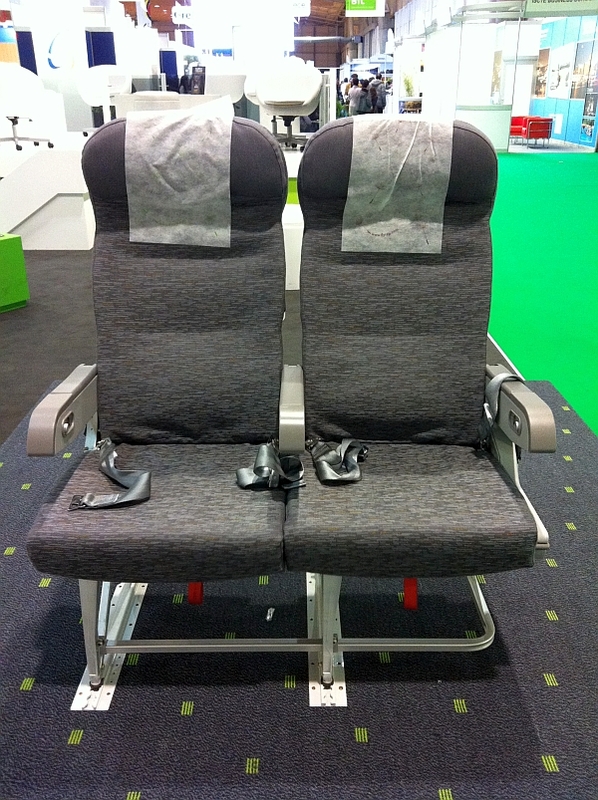 TAP is displaying the new Economy Class Recaro seats in BTL - International Tourism Exhibition which is taking place at FIL (Parque das Nações) in Lisboa. 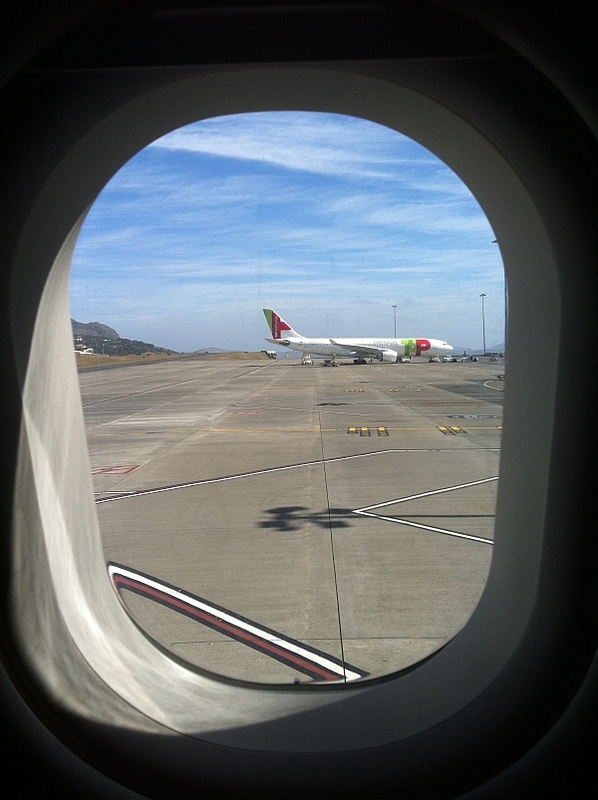 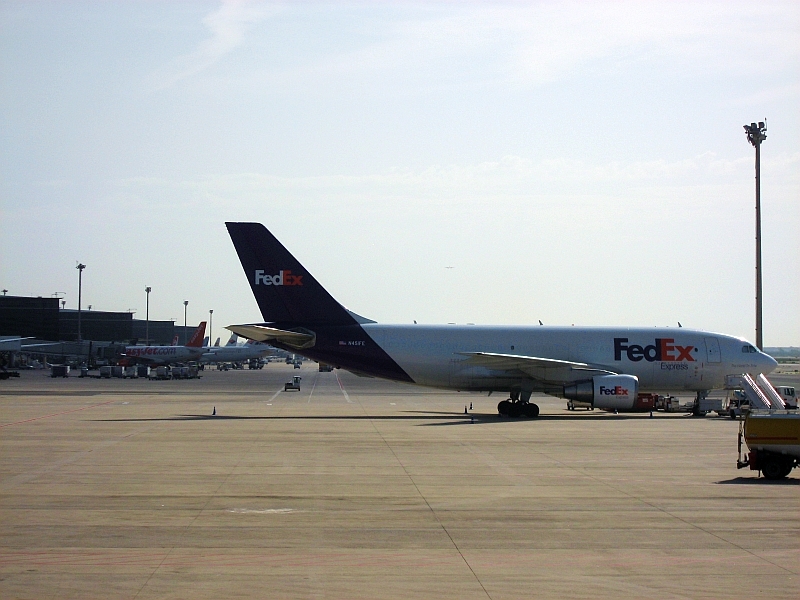 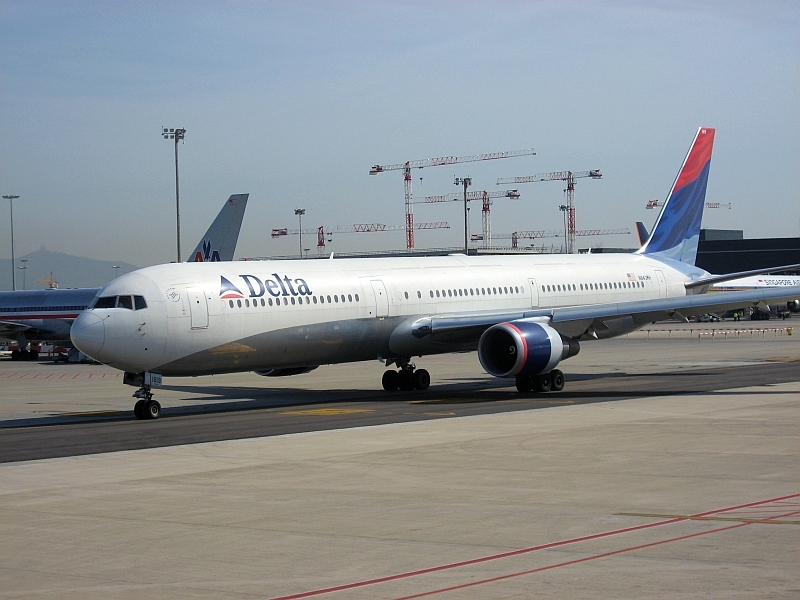 They are thinner, lighter and provide individual entertainment which was lacking in the A340 fleet until now. For me, the most important change is that they have more lumbar support and adjustable headrests. 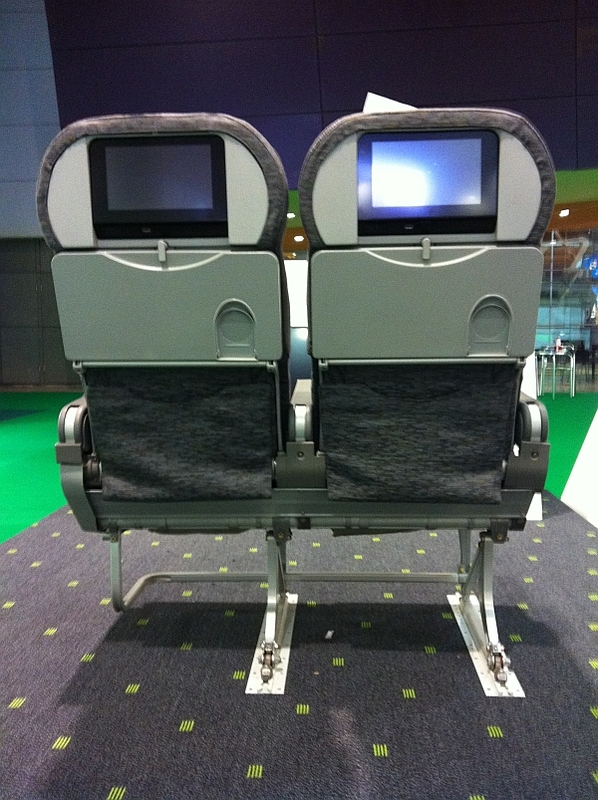 Also when you recline these seats, you will have not only a leaned seat back but also the bottom of the seat will advance a little bit making it a lot more comfortable than the current standard. 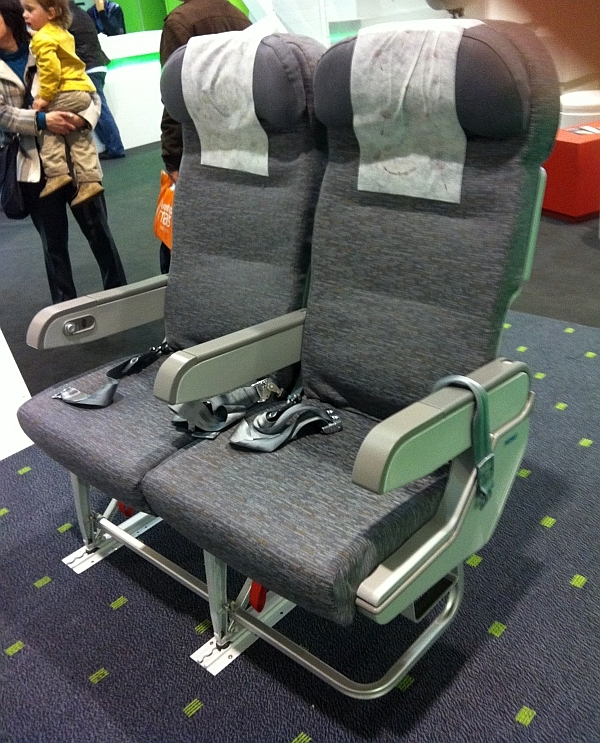 From what was shown, it seems that TAP will also adopt a new decorative pattern in the seat covers. The only thing that was missing when you compare these seats to those found in the A330 fleet is the PTV control pad. 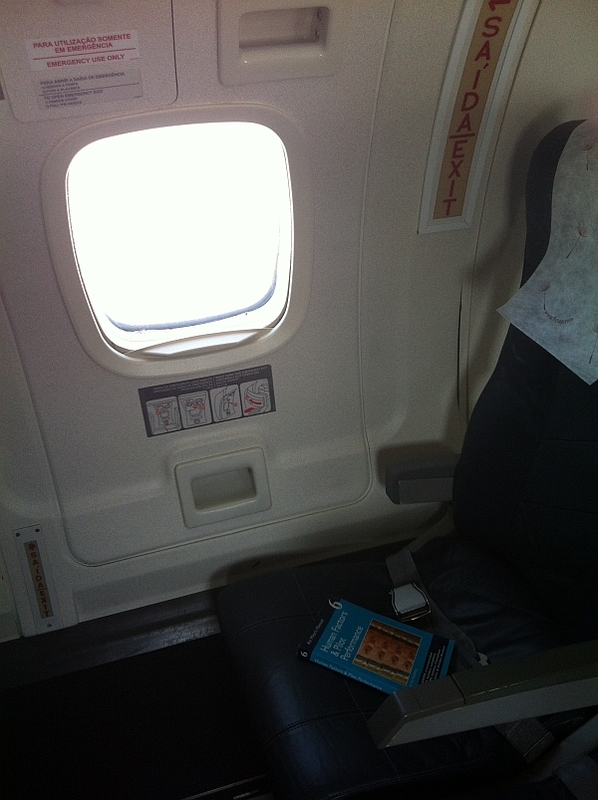 However, a USB socket is available. The first aircraft to be modified will be the one with registration CS-TOA, works taking place already this month. As a relatively frequent flyer of TAP's A340s in São Paulo route, I think this change is very welcomed! 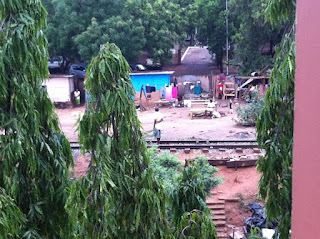 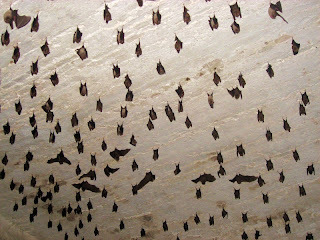 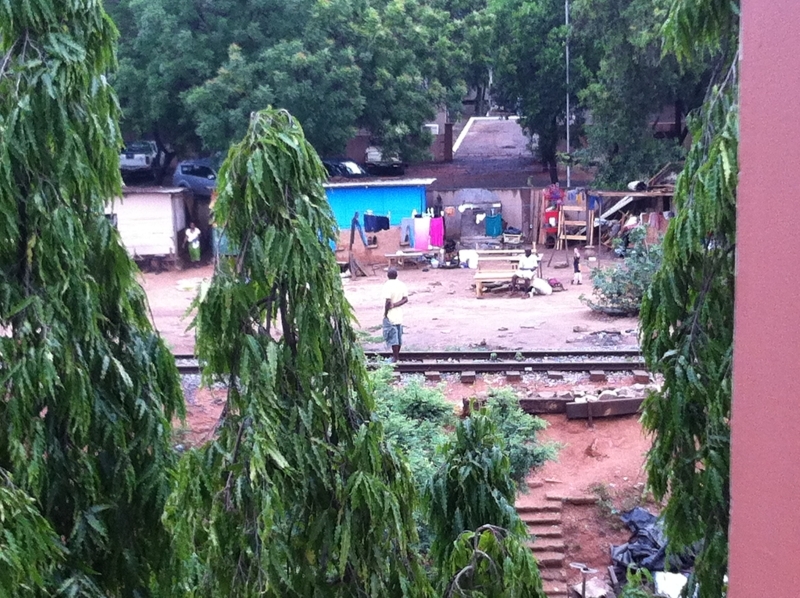 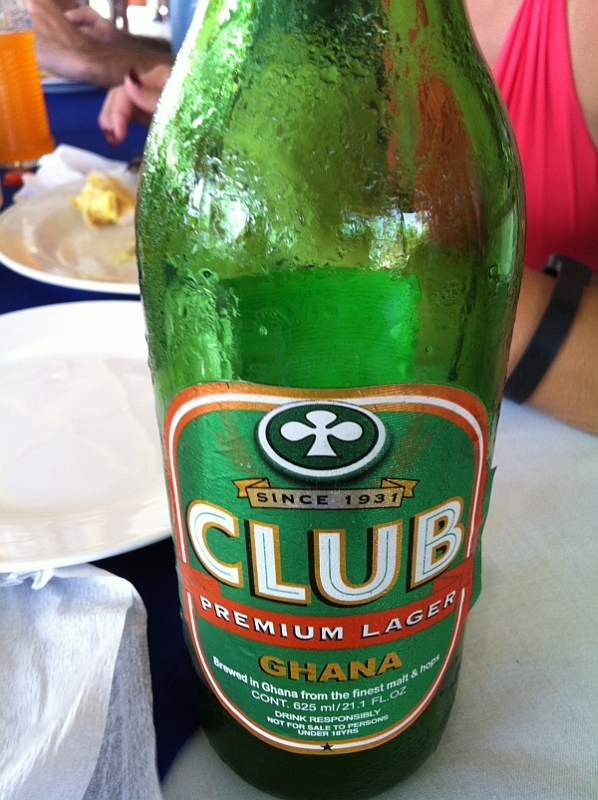 This was my first time in Ghana. 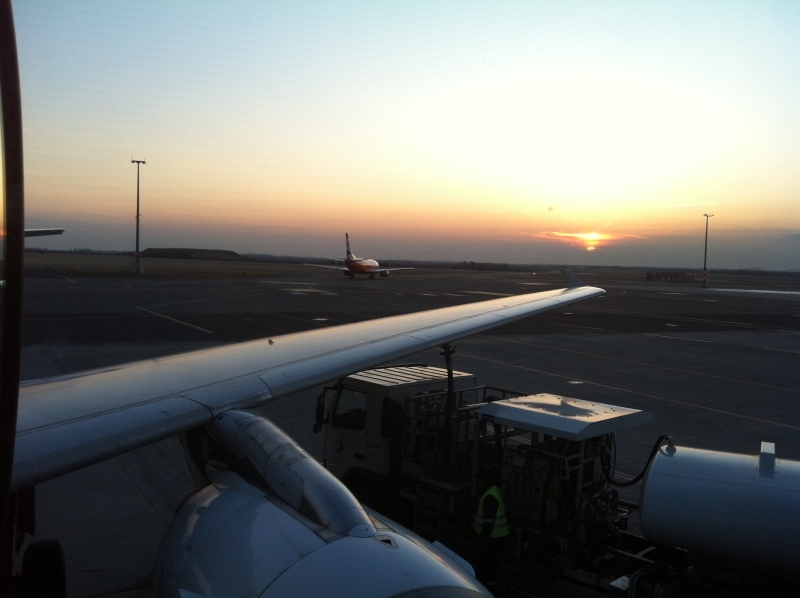 We landed after a 5h25m flight from Lisboa to Accra. Hot and humid - yes, I was again in Africa! 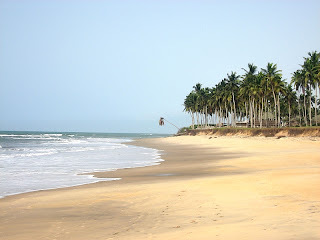 After spending the first night in Accra, we explored the Ghanaian coast searching for paradisiacal beaches/resorts where to stay for the next 3 days. 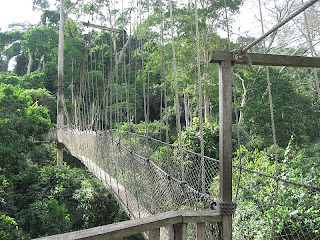 We were also seeking to pay a visit to Kakum National Park. 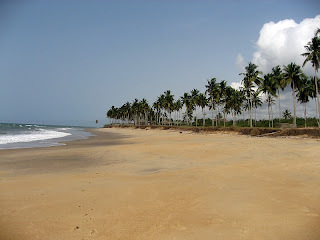 The first resort we saw was in Anomabo beach. 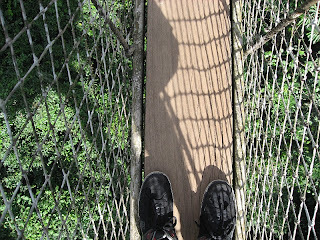 We liked it but we wanted to keep exploring. 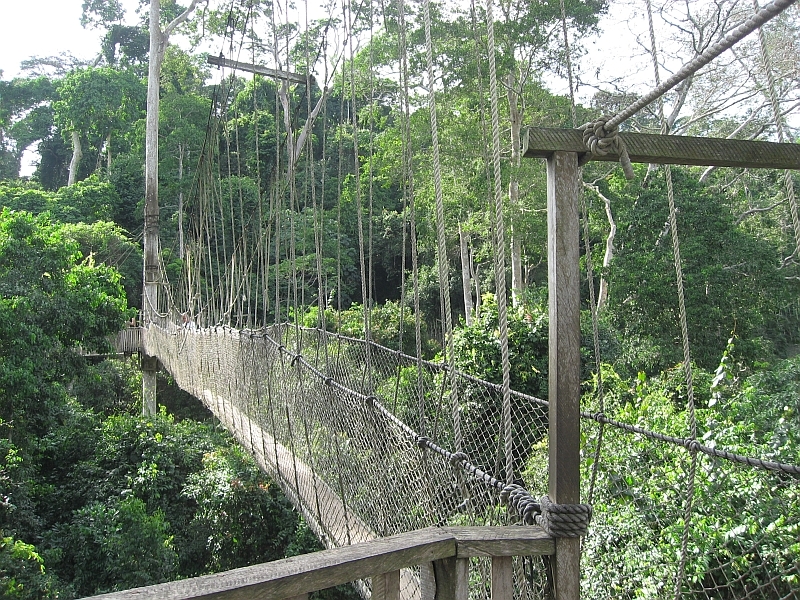 Next stop was Kakum National Park, located in the Central Region of Ghana, where we had lunch. 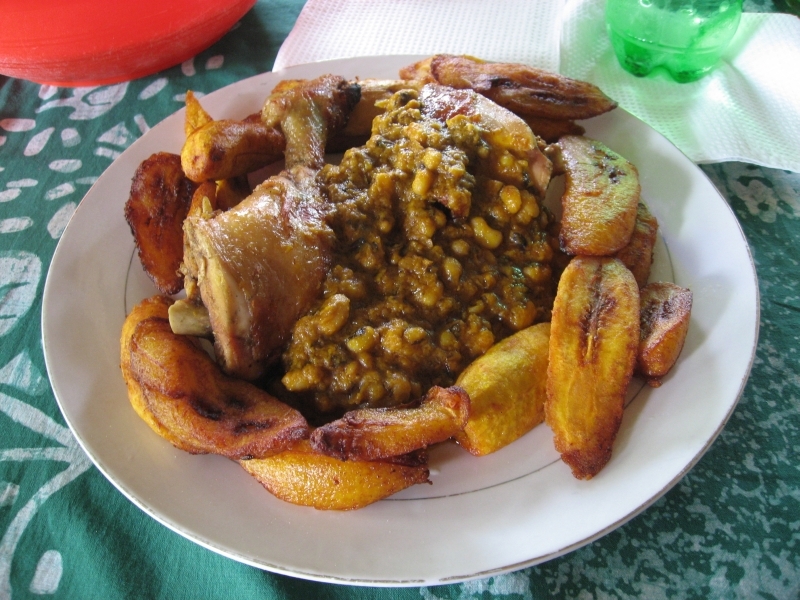 I chose a traditional dish called Chicken "Red Red", a bean stew served with fried bananas. Although the chicken was tasty, I didn't like the beans that much. 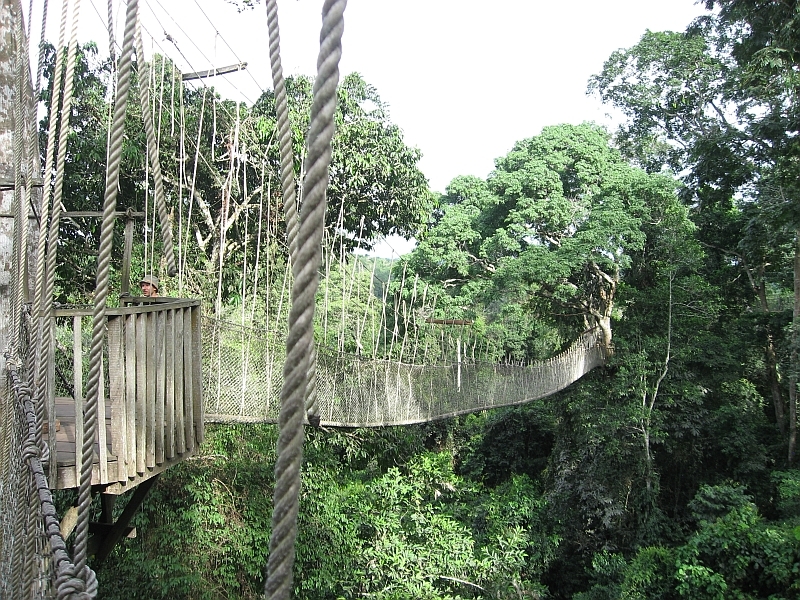 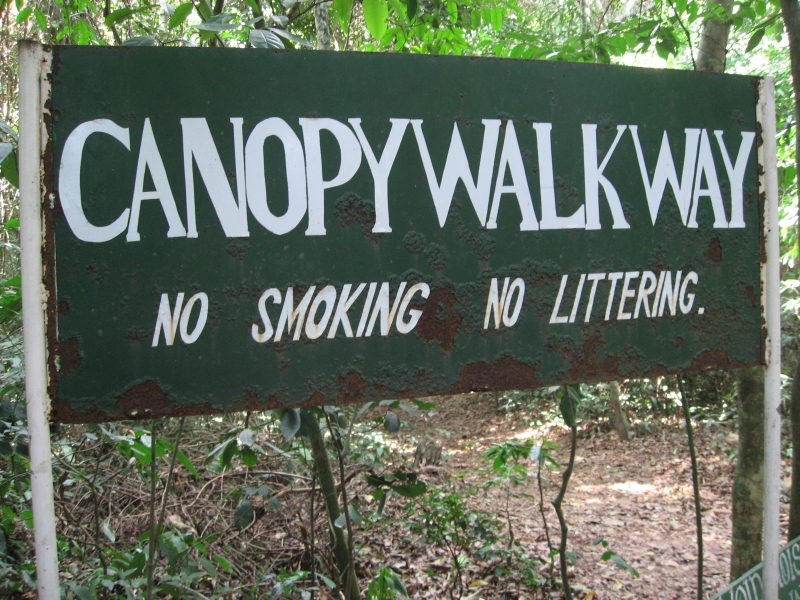 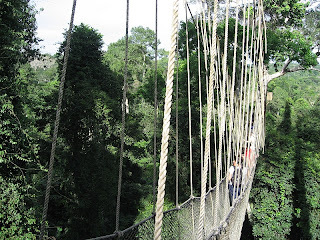 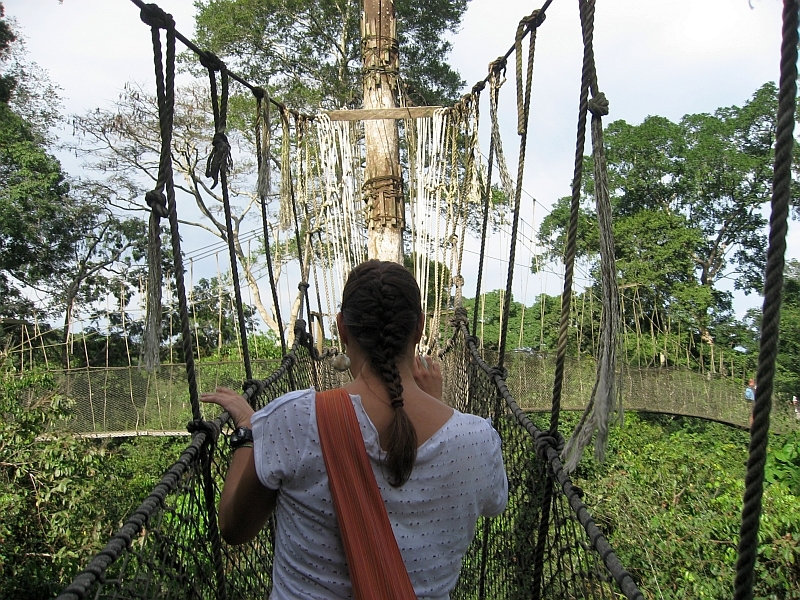 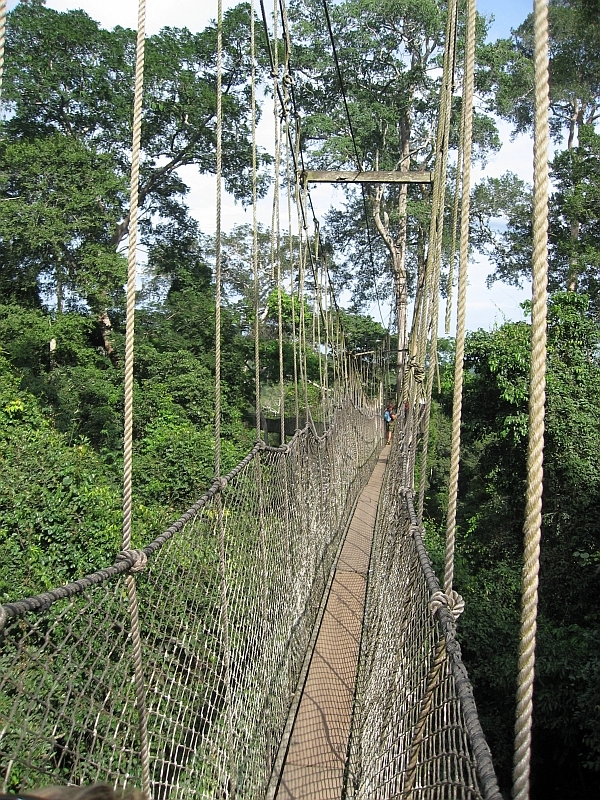 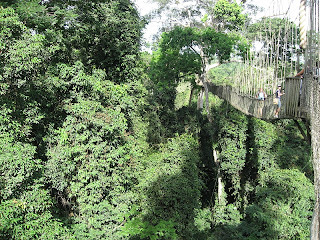 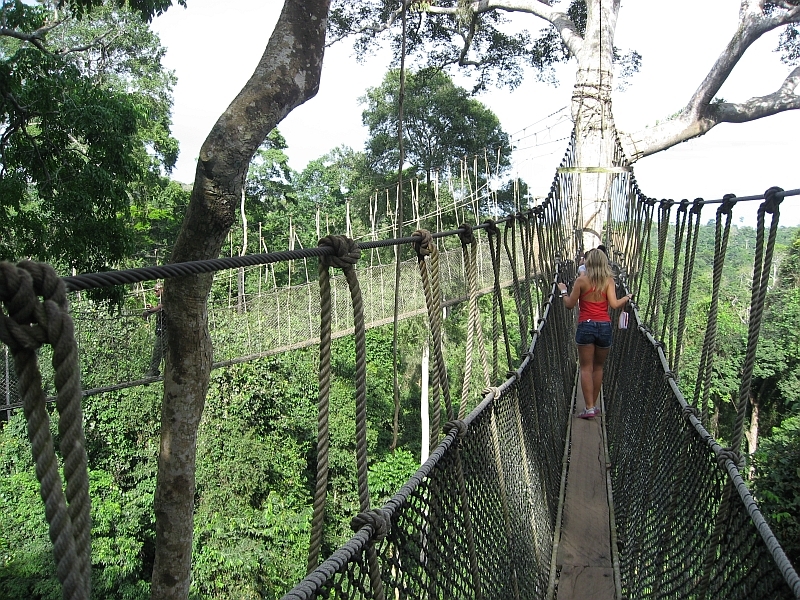 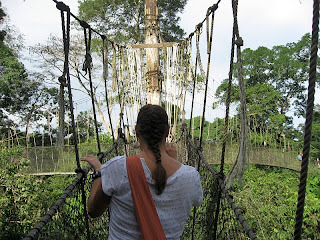 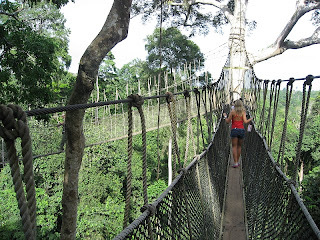 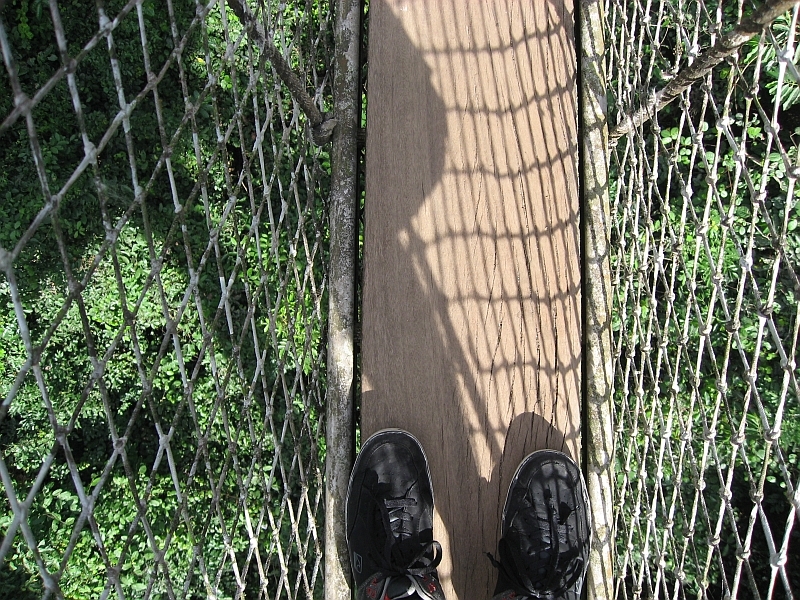 Kakum National Park's main attraction is the "Canopy Walkway", a series of seven rope bridges suspended between trees at the forest canopy level. 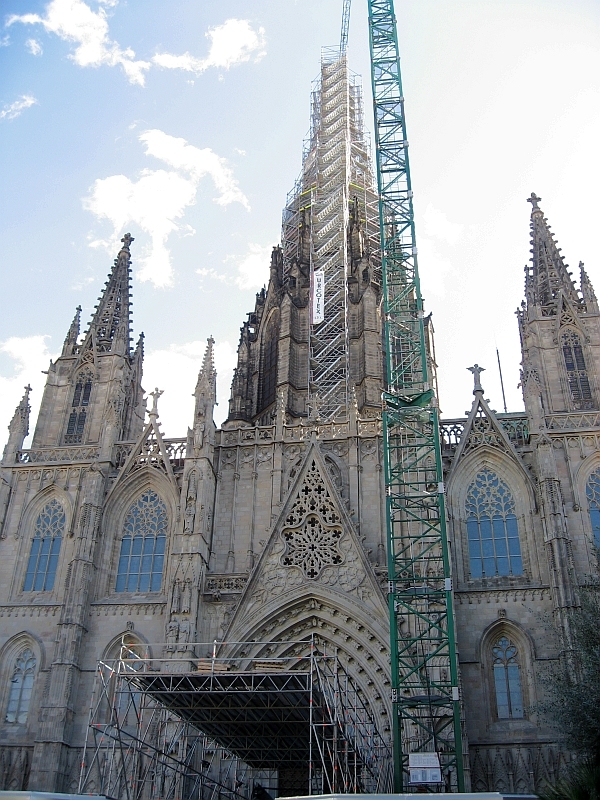 Their maximum height above the ground is 40 m. Really impressive! 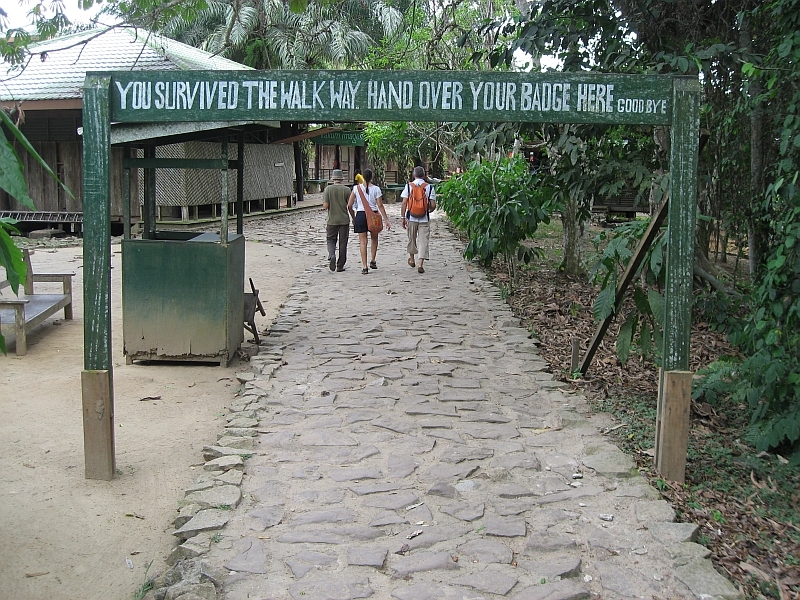 "YOU SURVIVED THE WALK WAY"
If you aren't afraid of heights it is worth a try! 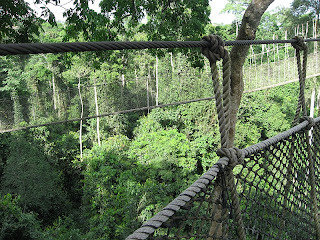 Students with ISIC card get 50% discount. 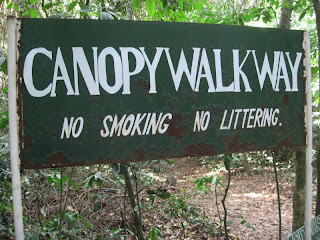 Kakum Park is about 3h30m away of Accra if you go by car. 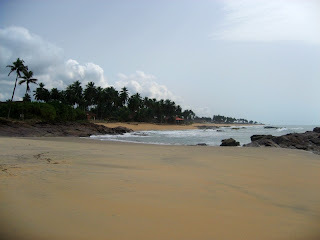 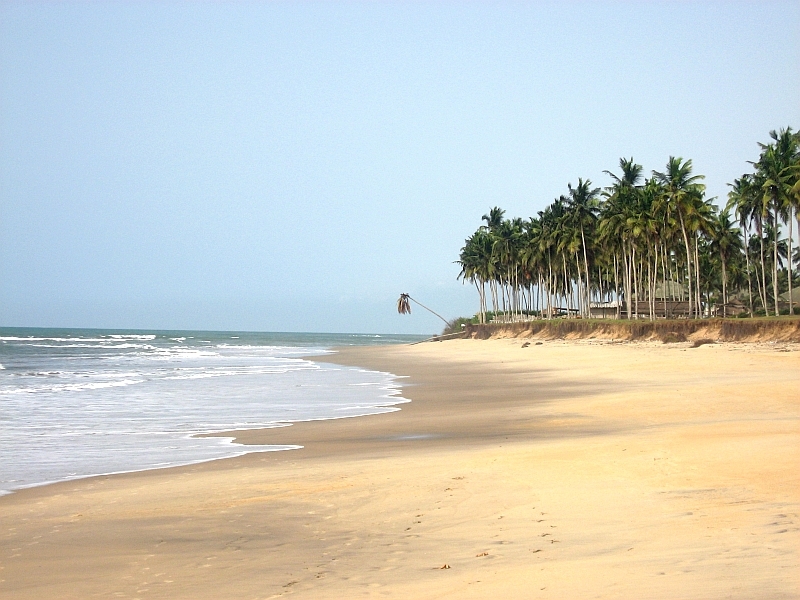 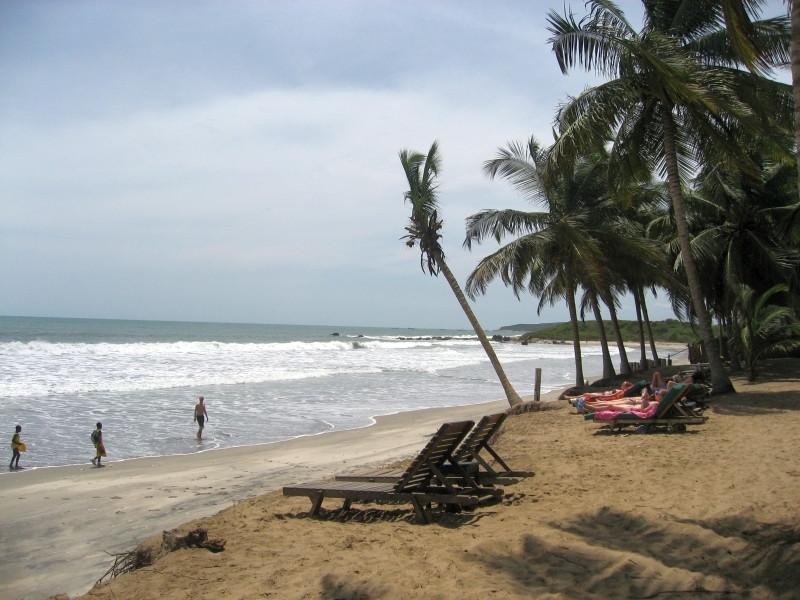 Finally, after seeing 3 or 4 resorts, we decided to stay at Coconut Grove Beach Resort in Elmina, near Cape Coast. 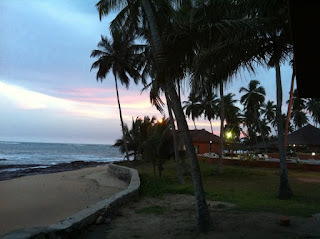 Beside the beach, we also had a nice pool. 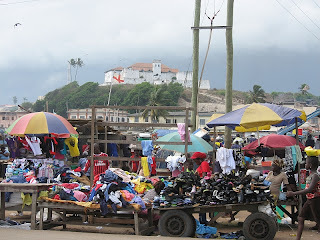 Next day we explored Elmina town which was built around São Jorge da Mina Castle - a Portuguese castle built in 1482 with the main purpose of being a trading post. Elmina name derived from the portuguese words "A Mina", in english "The Mine". 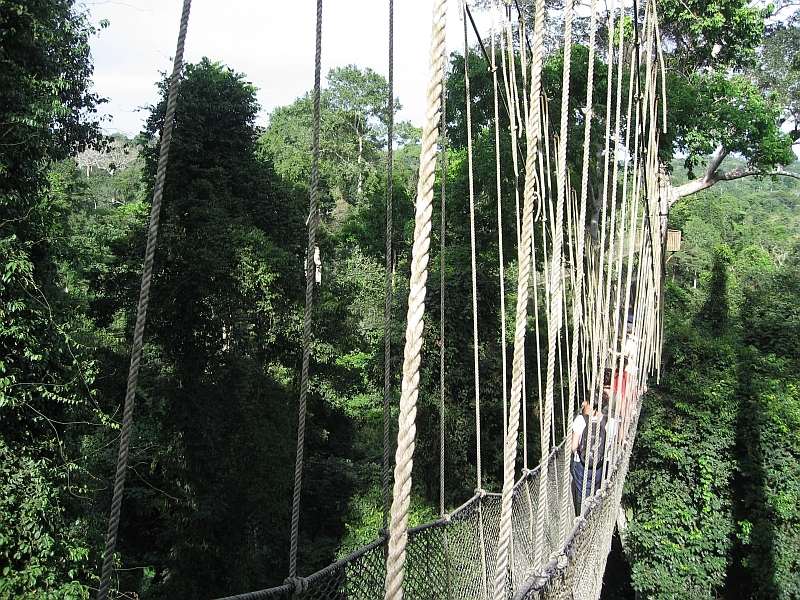 In fact, gold extraction was one of the main activities here. 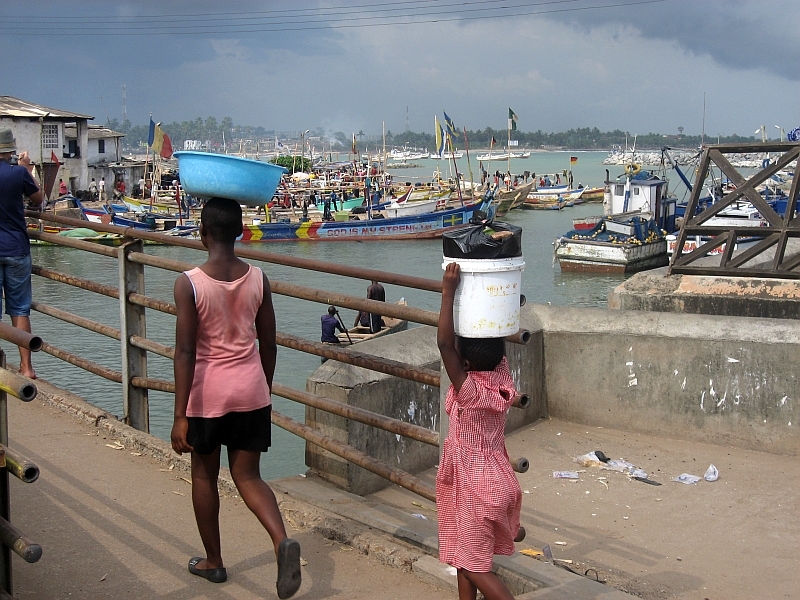 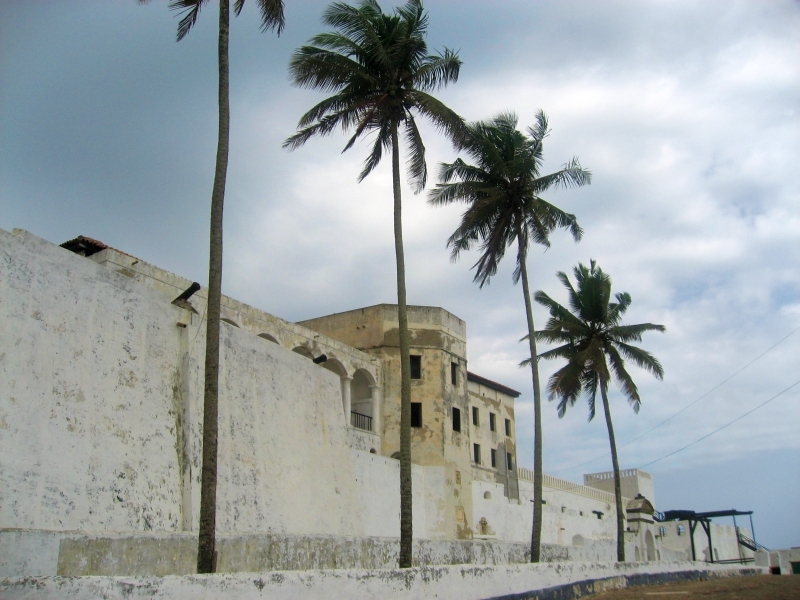 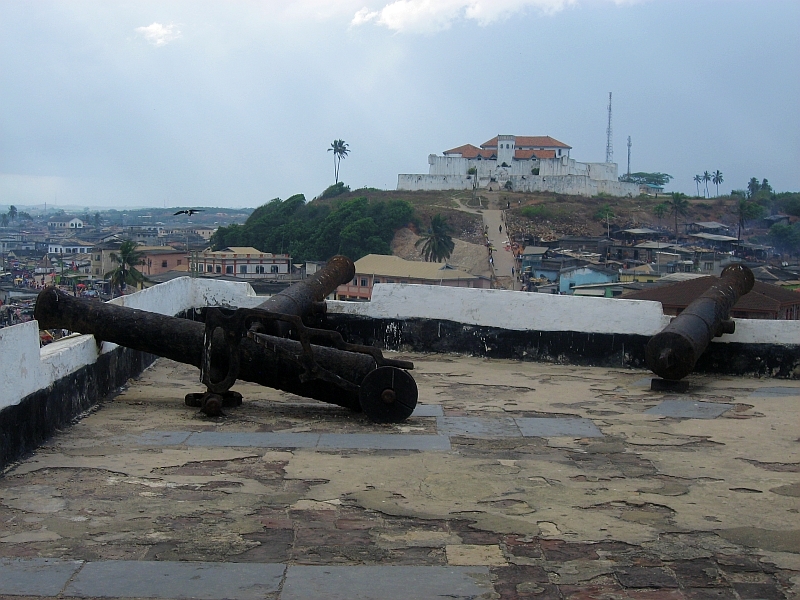 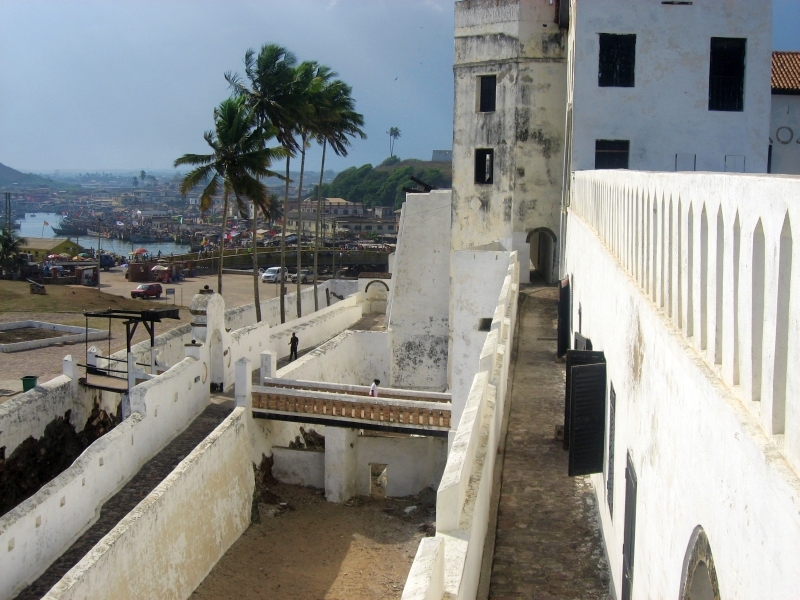 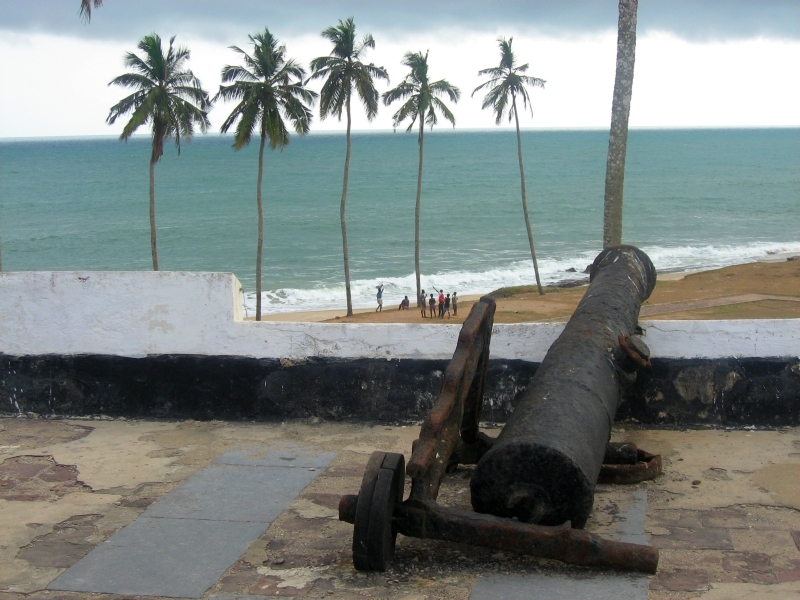 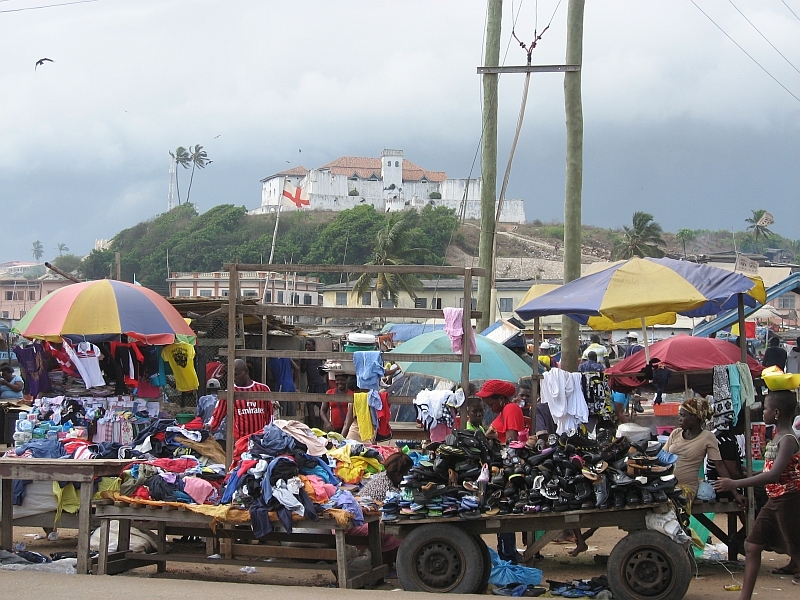 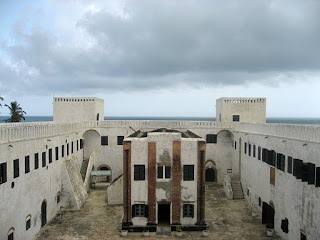 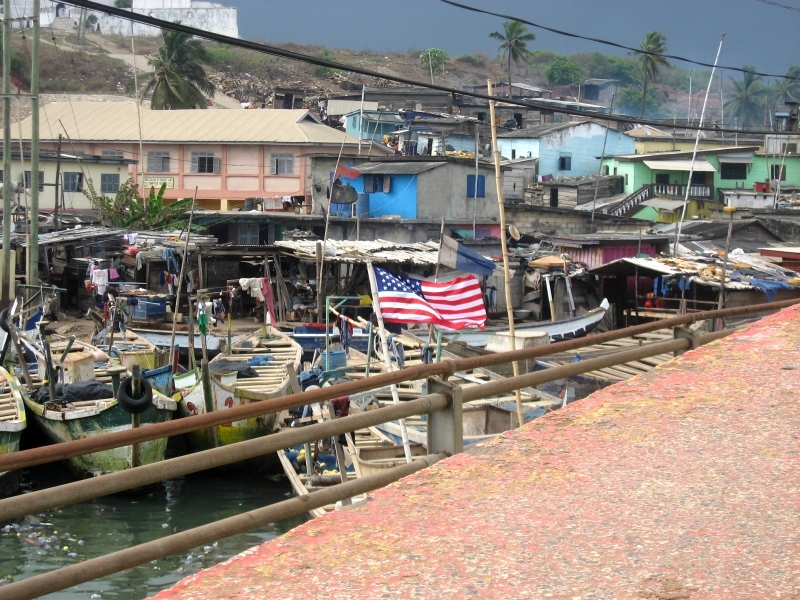 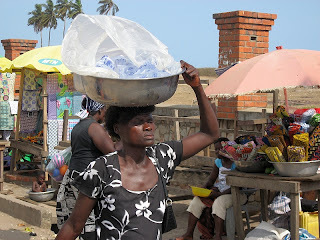 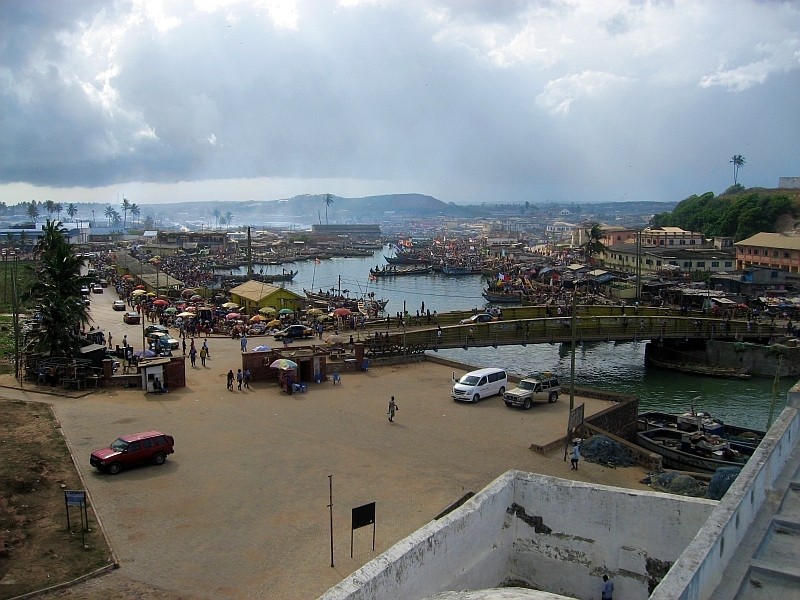 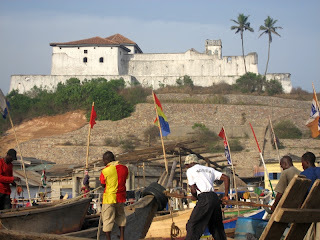 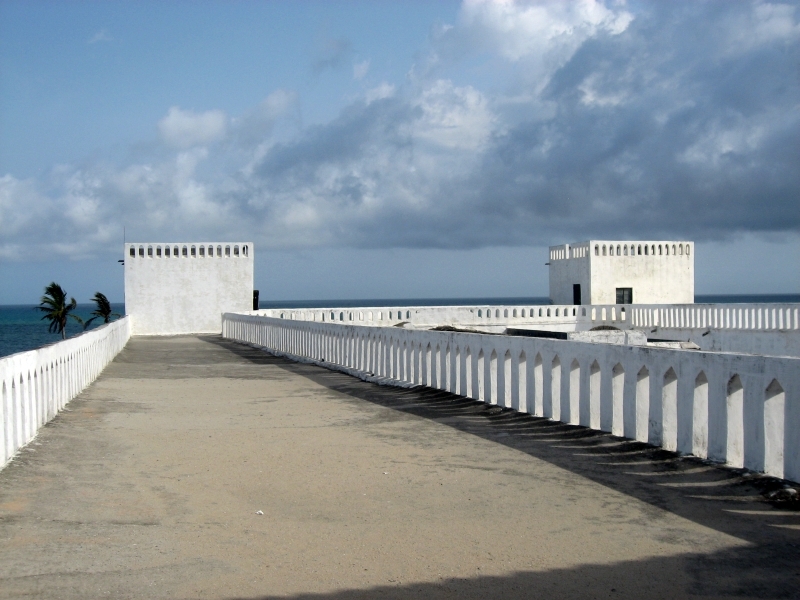 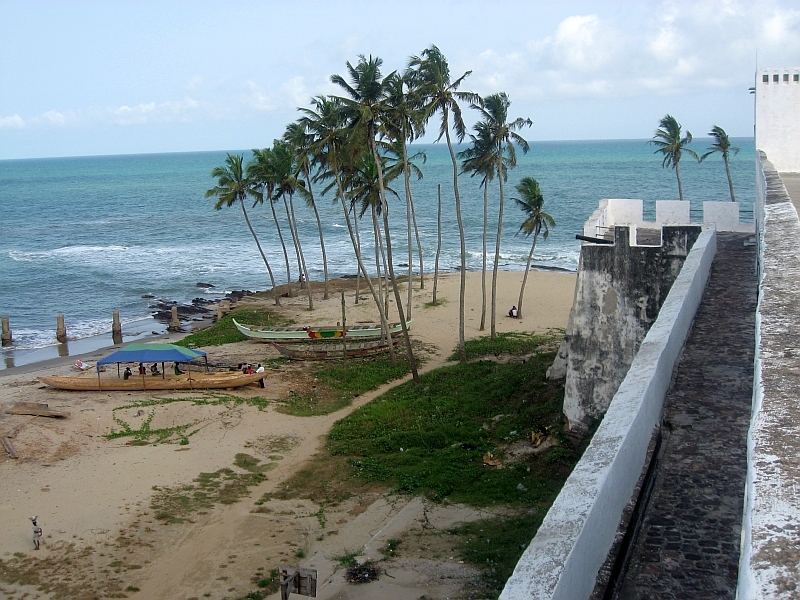 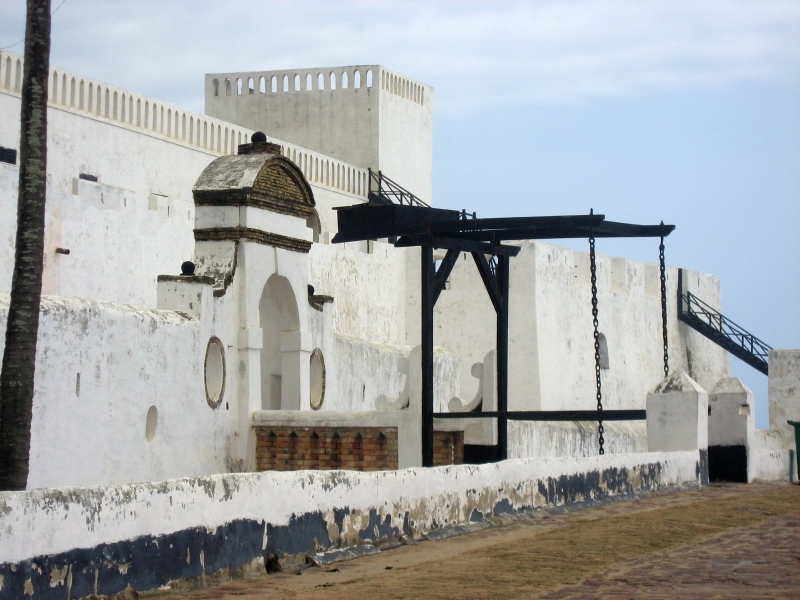 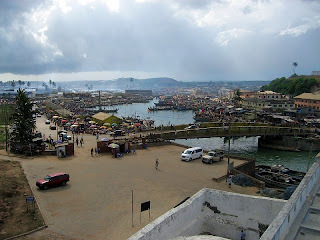 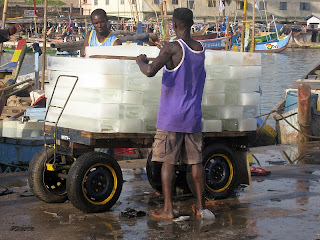 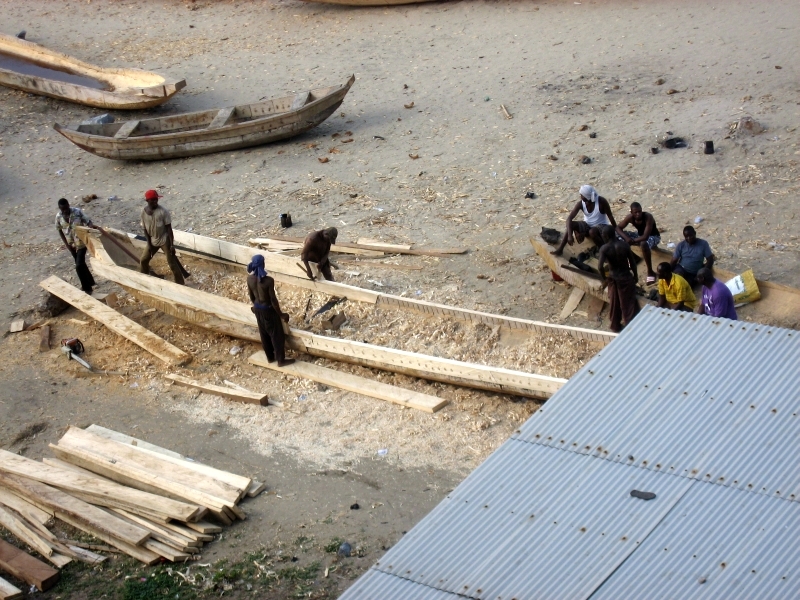 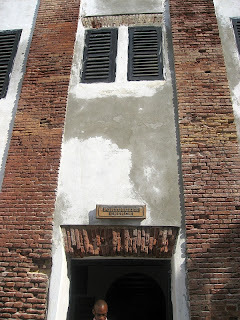 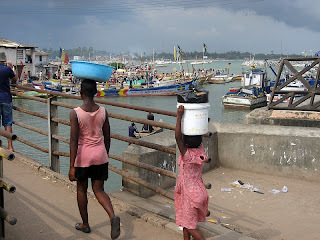 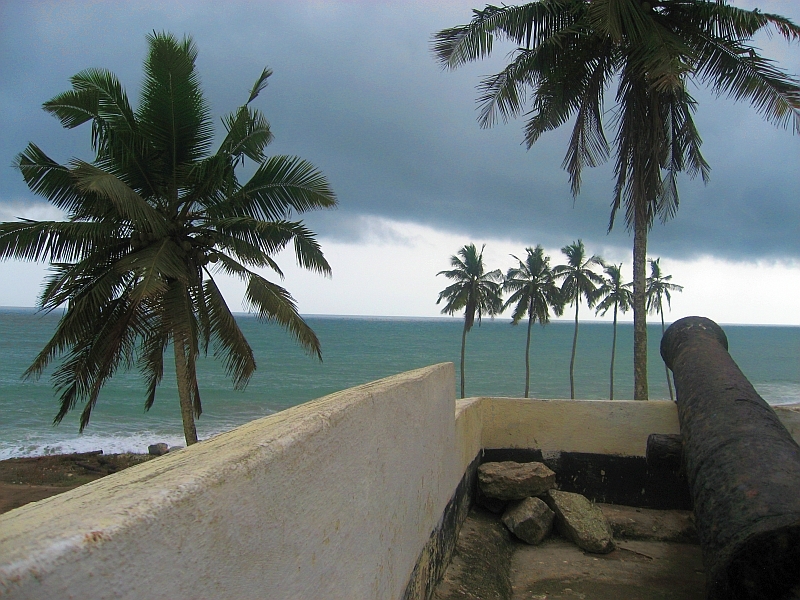 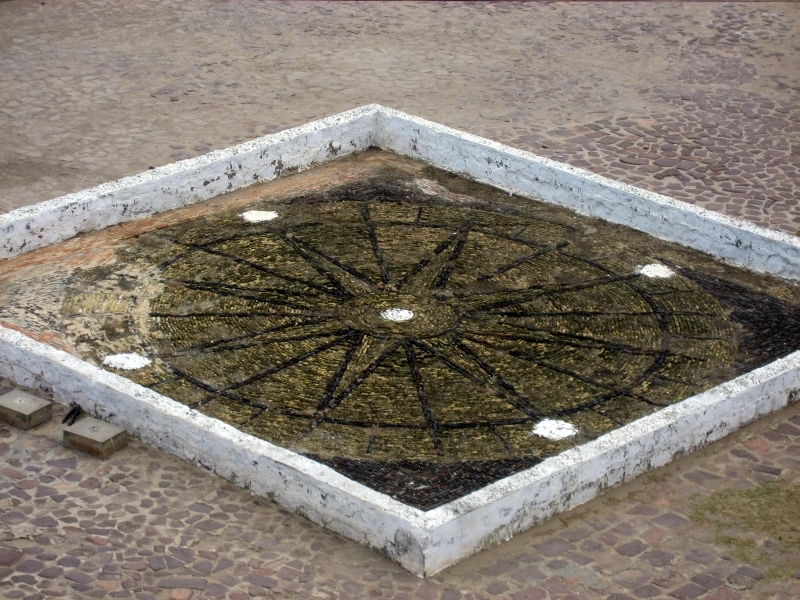 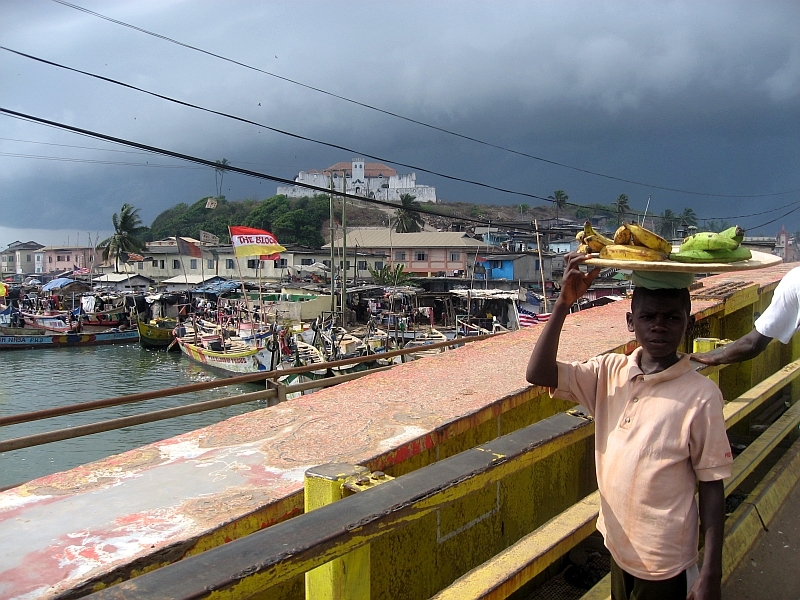 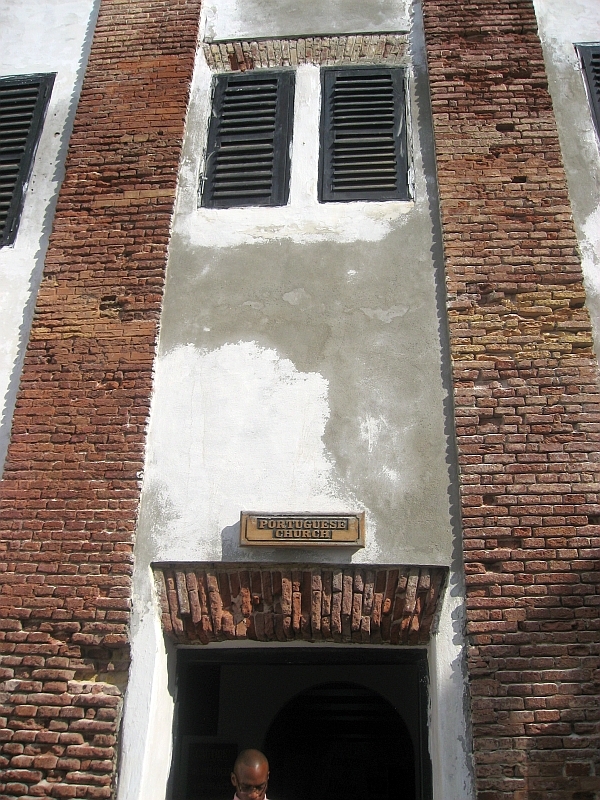 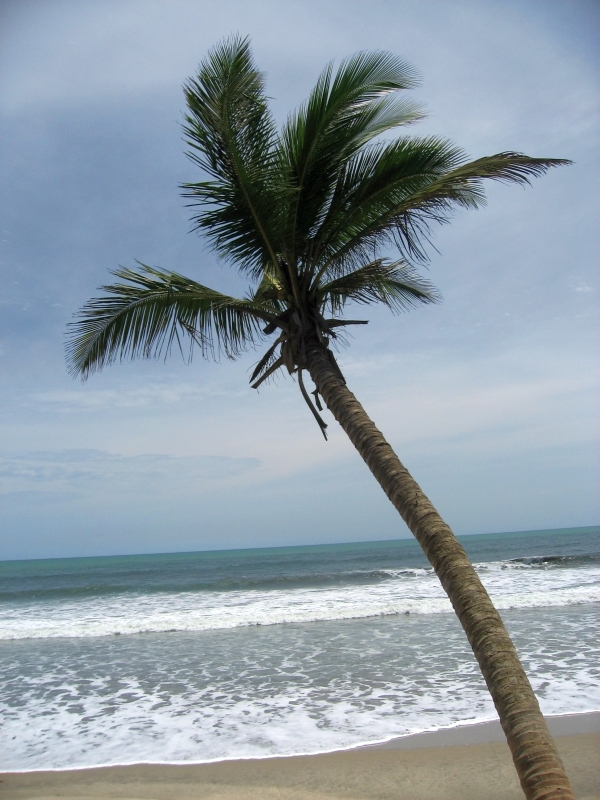 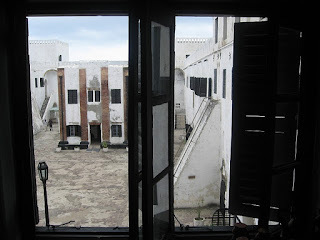 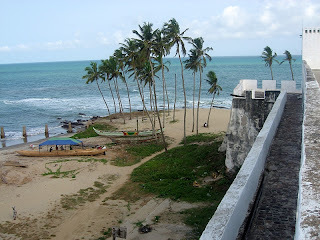 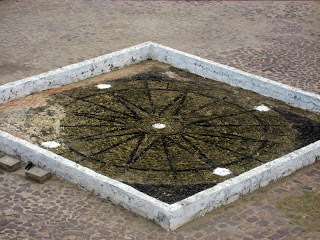 Elmina was also used by the Portuguese in the Atlantic slave trade. 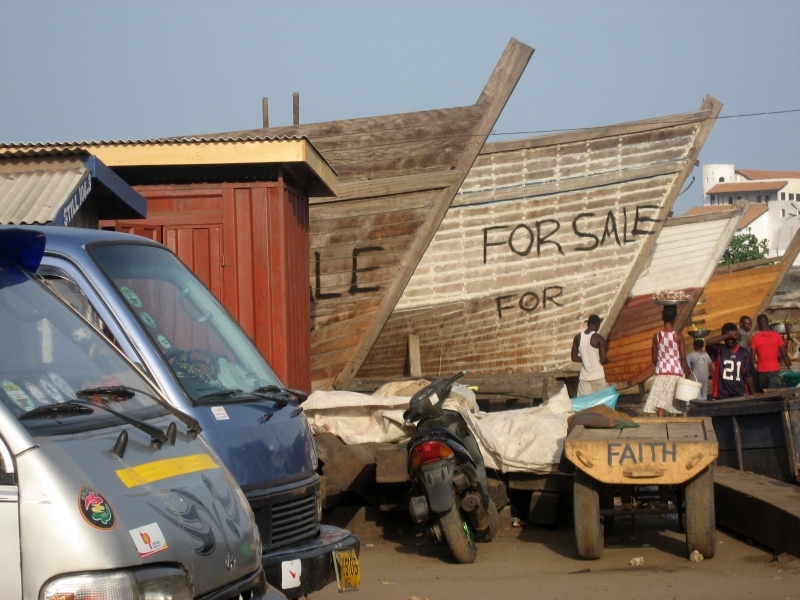 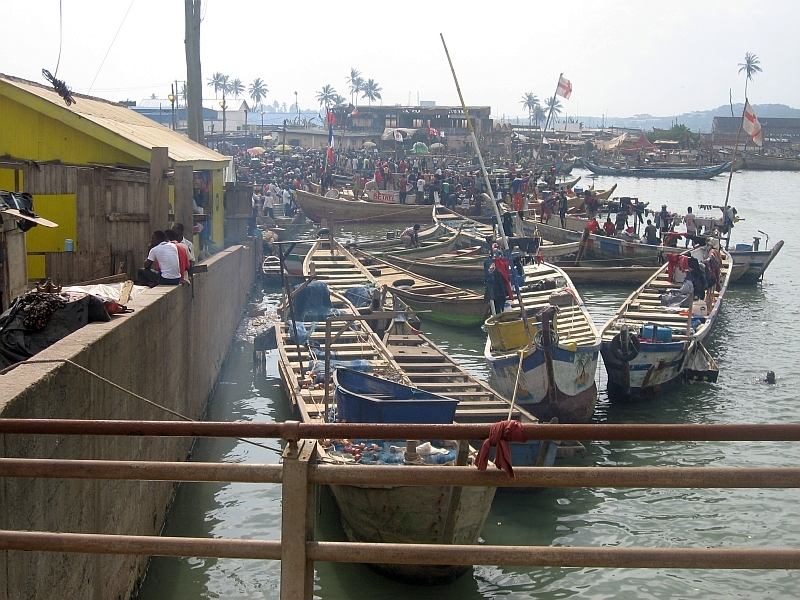 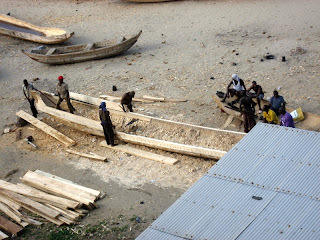 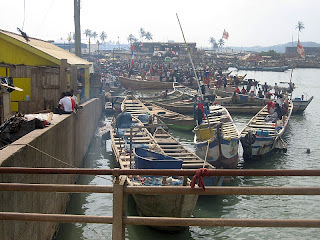 The Ghanaian People seemed to be very religious and they expressed their love to God in boats, cars, buildings, everywhere! Time to see the marks left by our ancestors in this part of the globe! 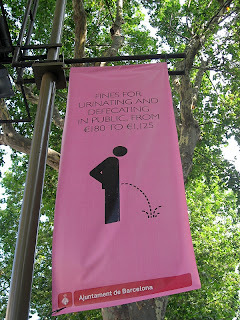 Again students get a nice discount. 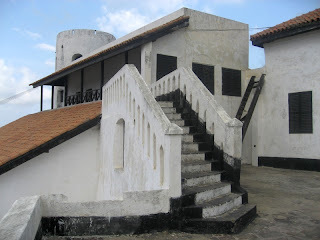 A guide will help you during the visit explaining every little detail and castle rooms and sections. 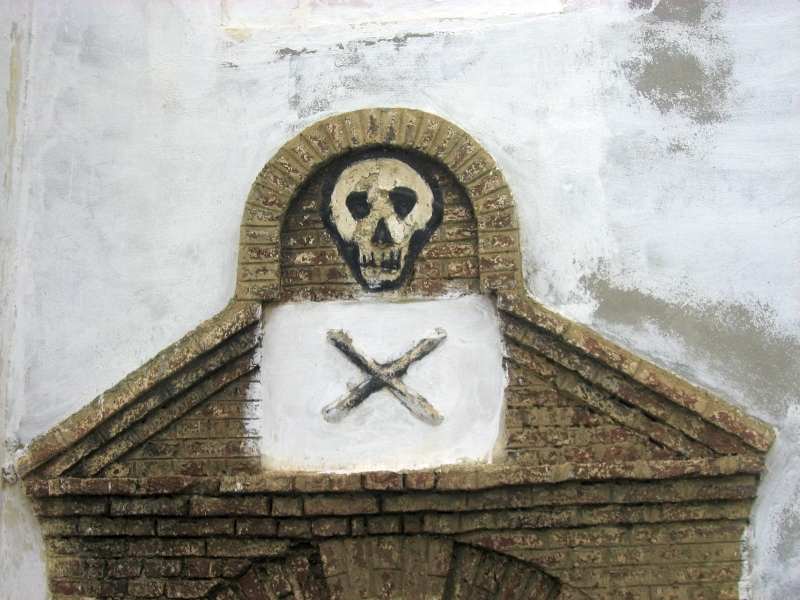 The Portuguese succumbed to Dutch attacks in 1637 when the castle was taken over. In 1872 it was handed over to the British Empire. Some photos of our beach... I got a nice tan! 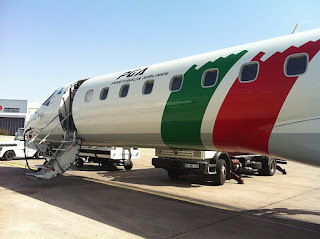 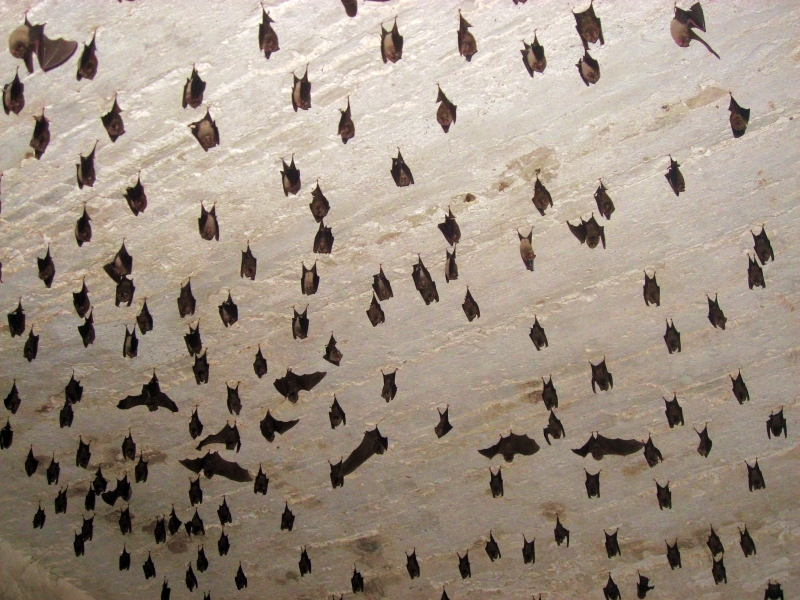 The following day we had to return to Accra and get prepared for the flight back to Lisboa. 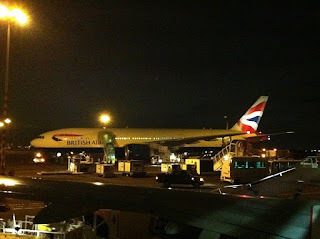 British Airways' crew was in the same hotel we stayed (African Regent) and they had their pick-up at the same time we did. 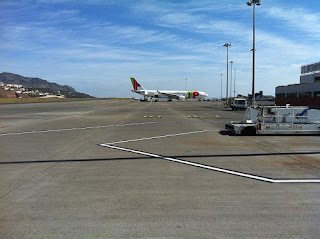 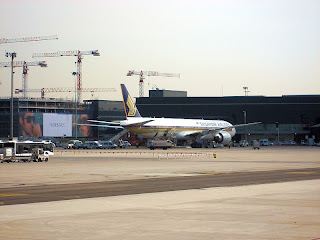 At Kotoka Intl Airport I could see an Air Namibia A320, KLM MD-11, British Airways 777 and a South African Airways A330.